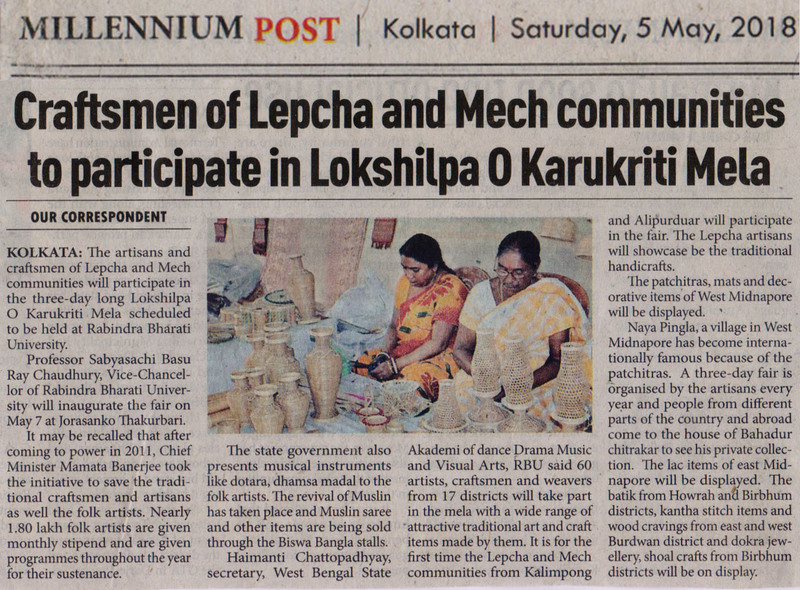 Rural Craft and Cultural Hubs are spread in 16 districts, engaging over 20,000 villagers involved in 19 art and craft forms. 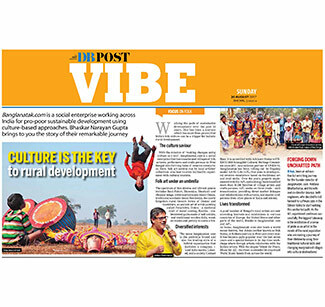 Every hub has its own annual Village Festival. 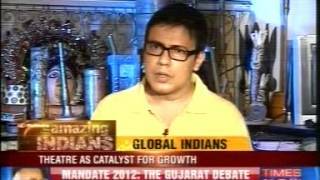 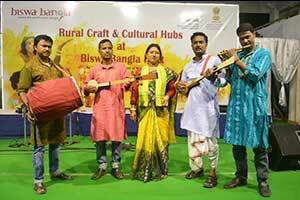 Rural Craft & Cultural Hubs, an initiative of Dept. 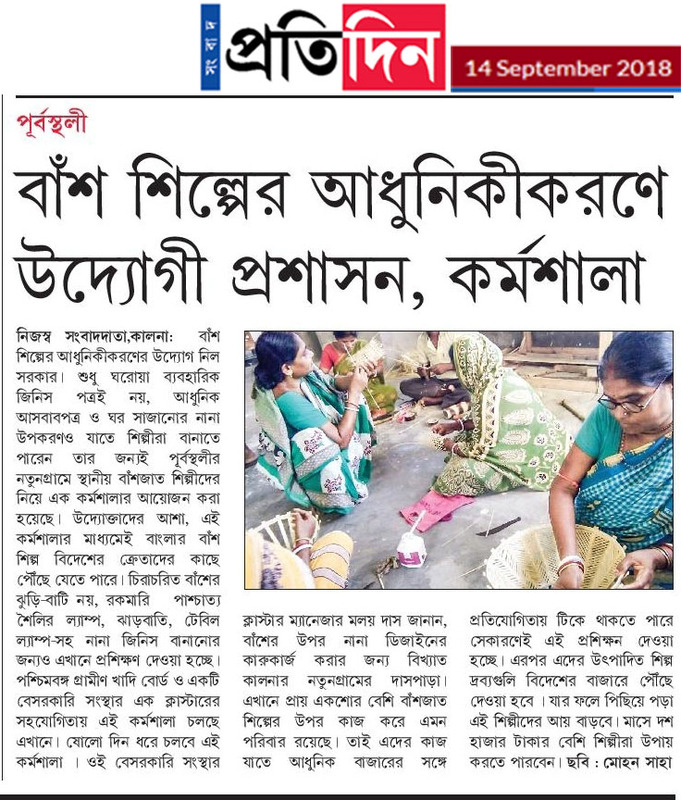 of MSME&T, West Bengal, is reviving the indigenous skills and creating art and craft-based entrepreneurs at the grassroots. 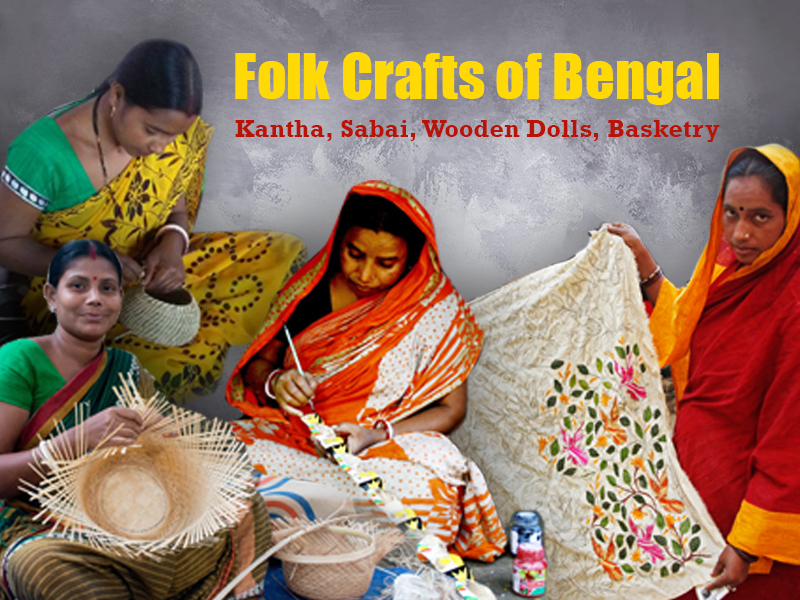 Bengal has a rich repertoire of both tangible and intangible cultural heritage, which includes music, oral traditions, performances, visual arts, and crafts. 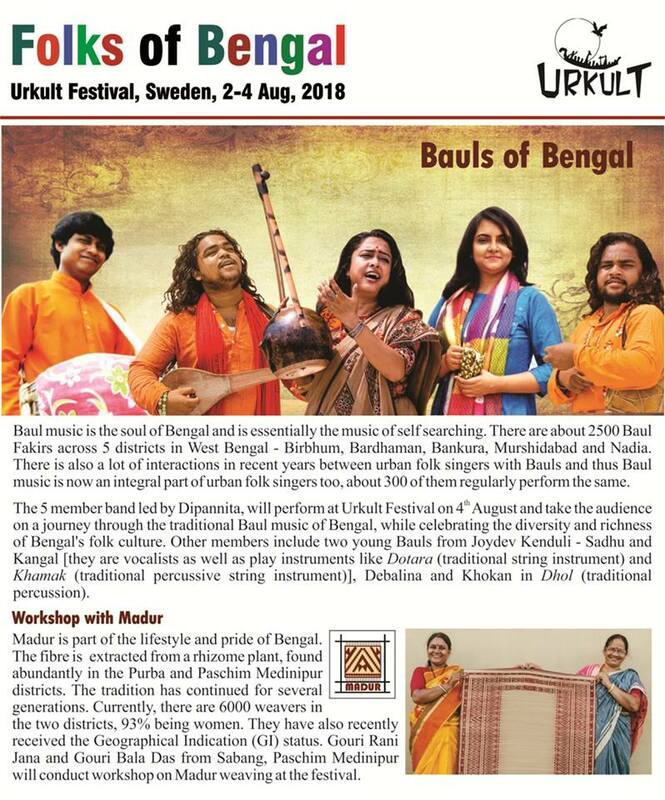 A 5-member Folks of Bengal music team will perform at Urkult Festival in Sweden on August 4, while two Madur artists from Bengal will conduct a workshop at the fest from 2 to 4 August. 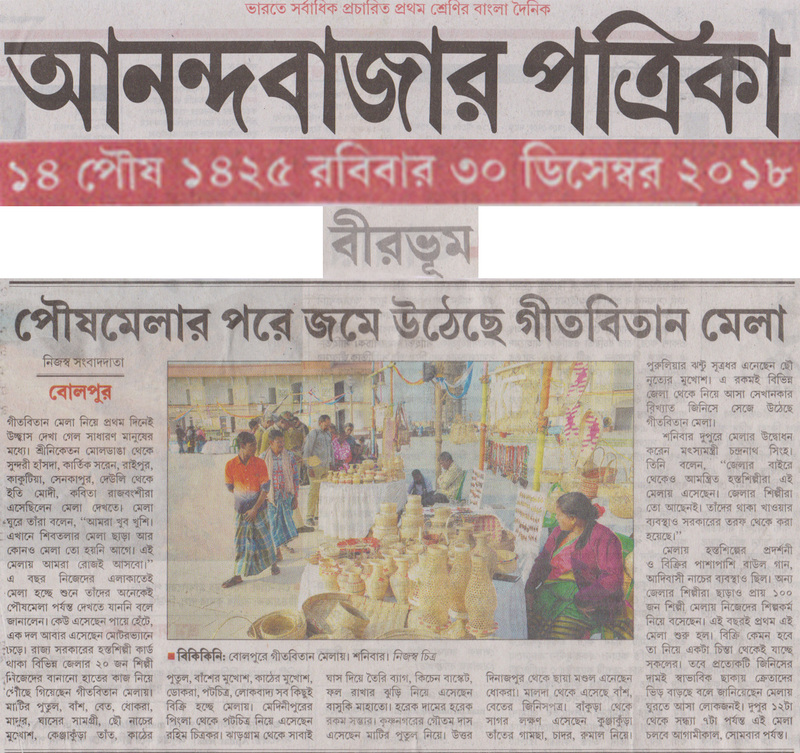 An exhibition of Kantha Embroidery, Wooden Dolls, Sabai and Basketry at Sushila Birla Girls’ School, Kolkata, from 2 to 4 August. 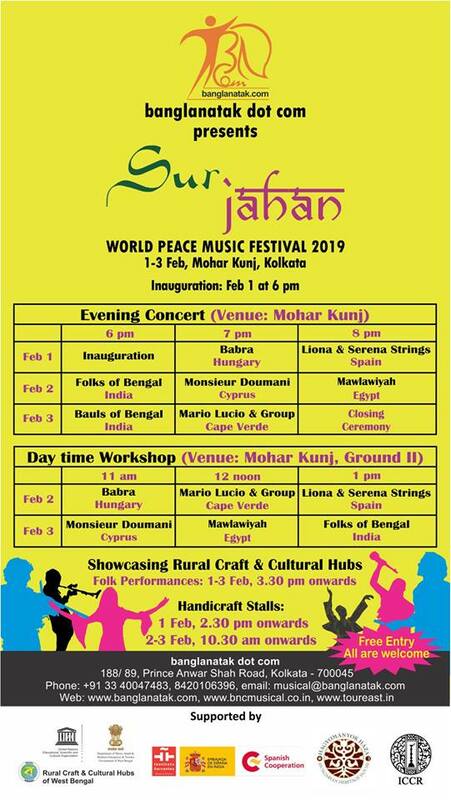 Time: 7:30 am to 2:45 pm. 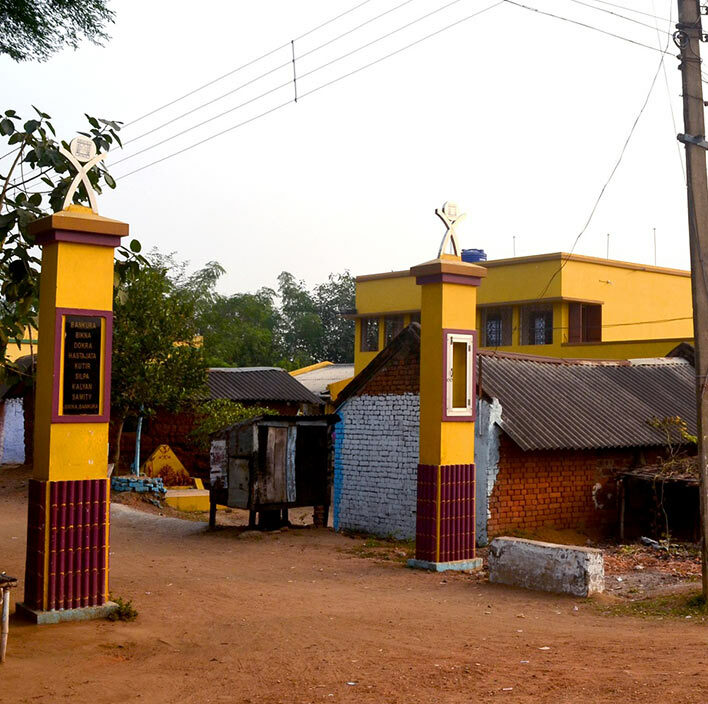 Entry restricted. 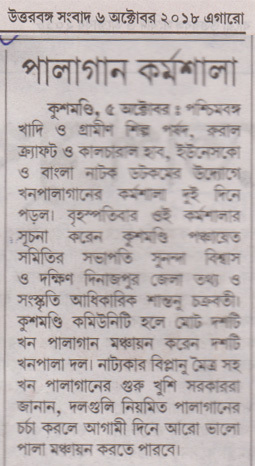 Contact school authorities to visit. 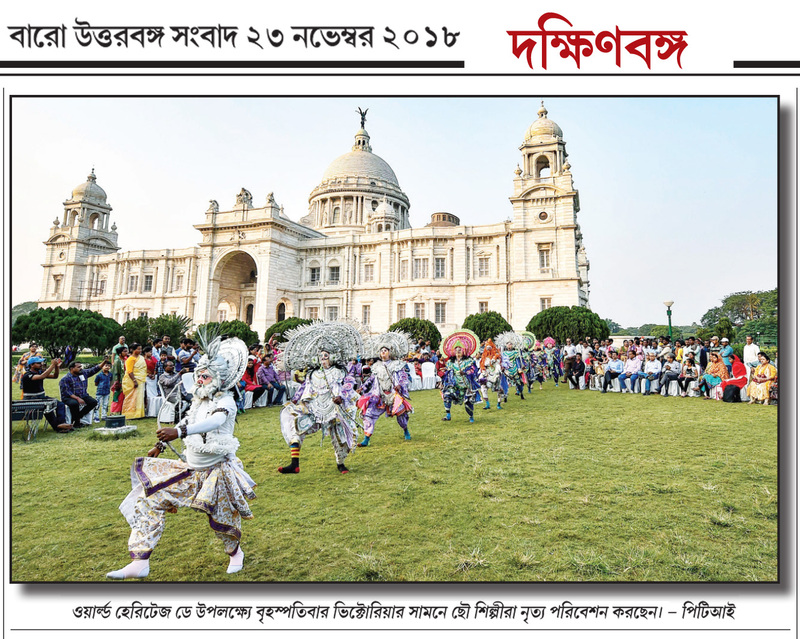 Folk performance and handicraft demonstration at Netaji Subhash Chandra Bose International Airport in Kolkata on 15 April. 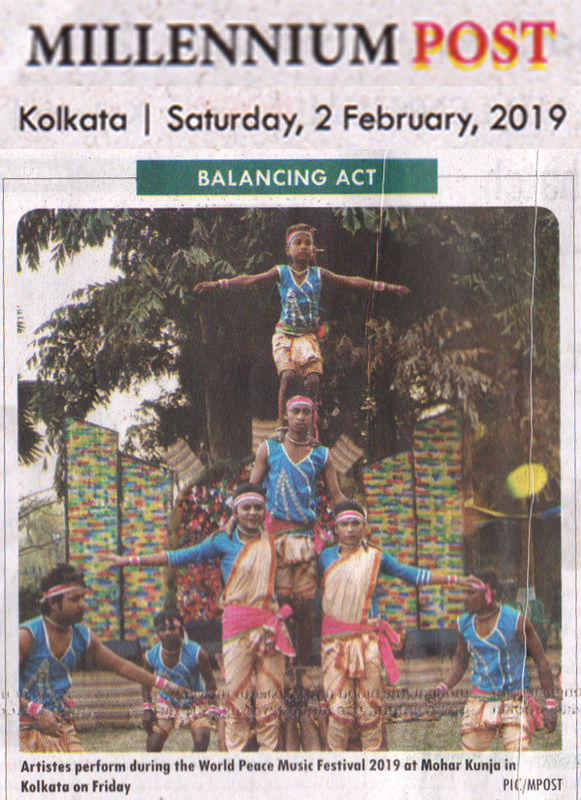 Bengali New Year celebration with Raibenshe performance and Chau dance at Biswa Bangla Haat on April 14 - 15, 2018. 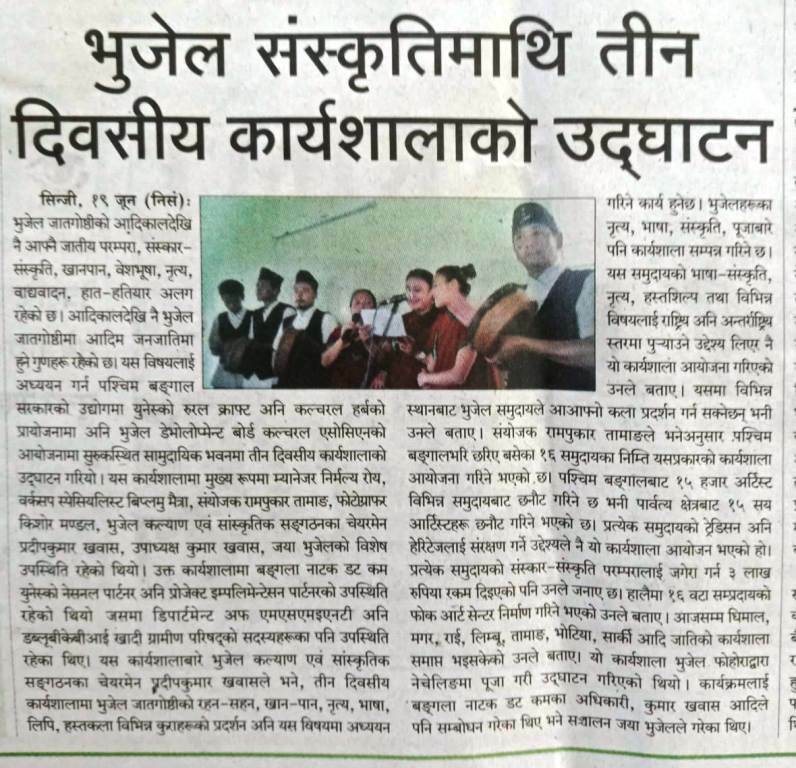 25 Baul singers, Dokra & Patachitra artists are participating in cultural exchange with young students from US under Communities Connecting Heritage programme. 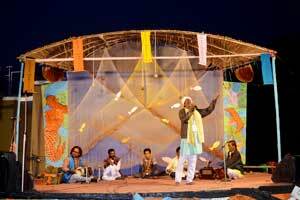 Chandan Shil and Sumanta Das Baul will perform Baul songs at Biswa Bangla Haat on April 7 - 8, 2018. 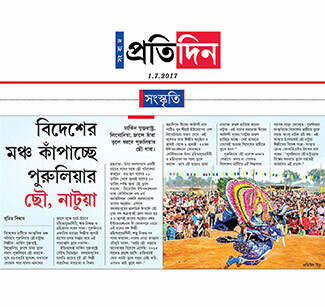 A four-member team of Baul singers and musicians will participate in a music festival in Britanny, France, from May 5 to 10, 2018. 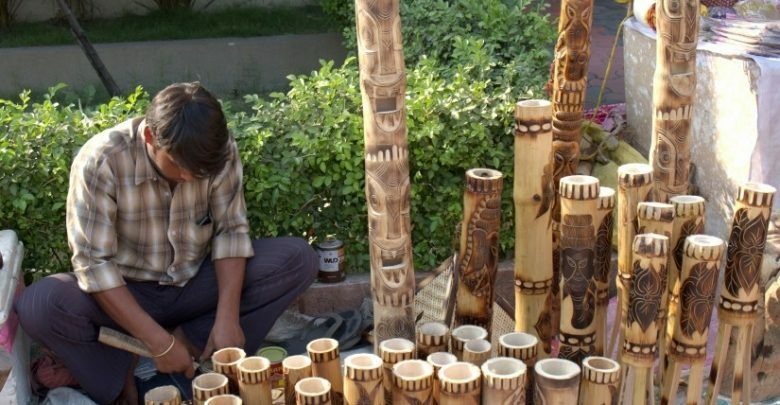 Bamboo works and Basketry are among the most ancie.. 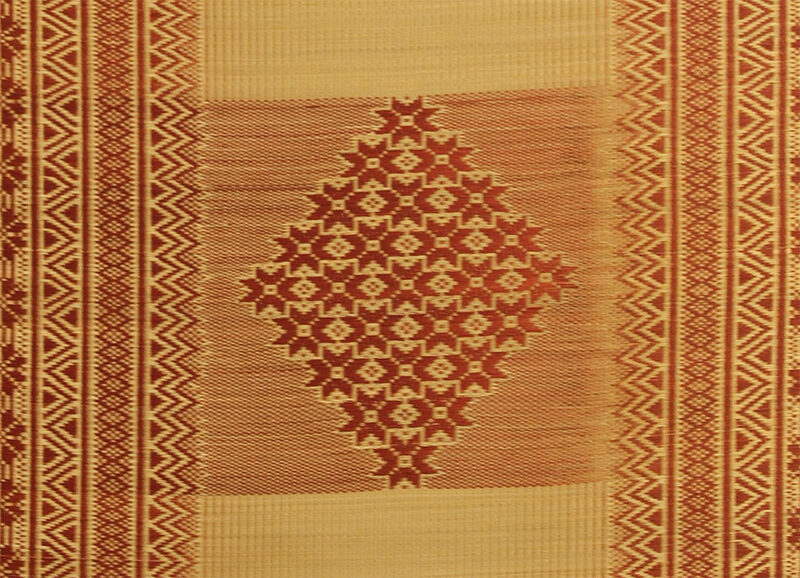 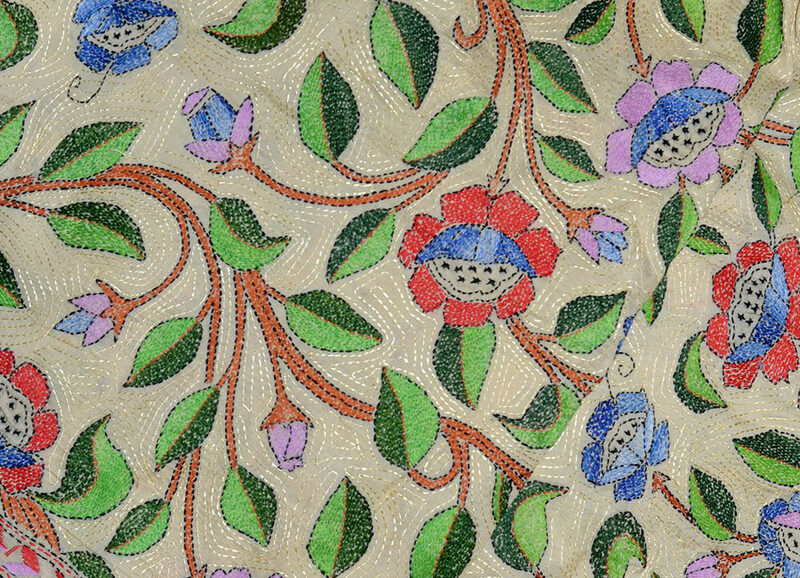 The weaving of Dhokra mats on back strap looms is..
A traditional form of scroll painting. 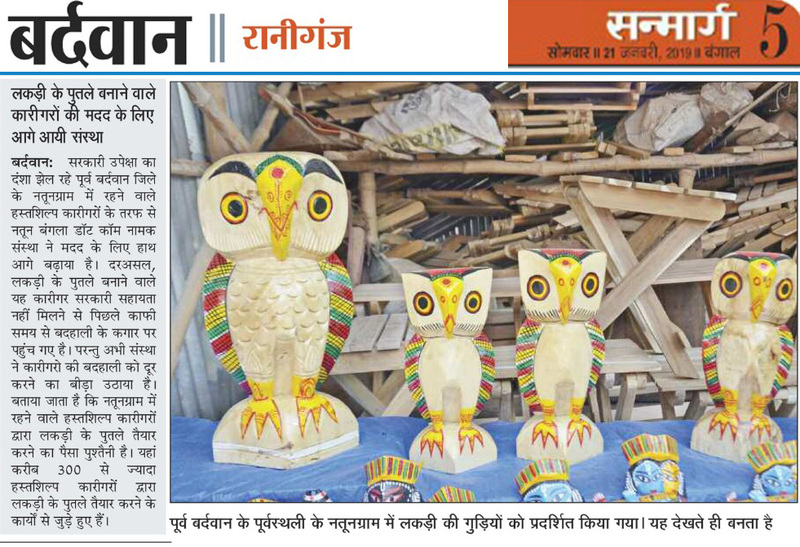 The art of making clay products. 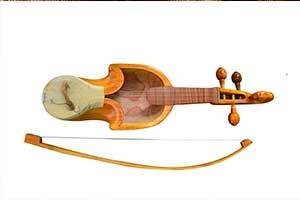 Folk musical instruments are mostly hand-crafted. 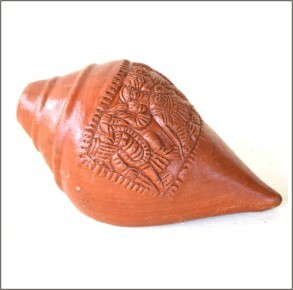 Madur is an integral element of Bengali lifestyle. 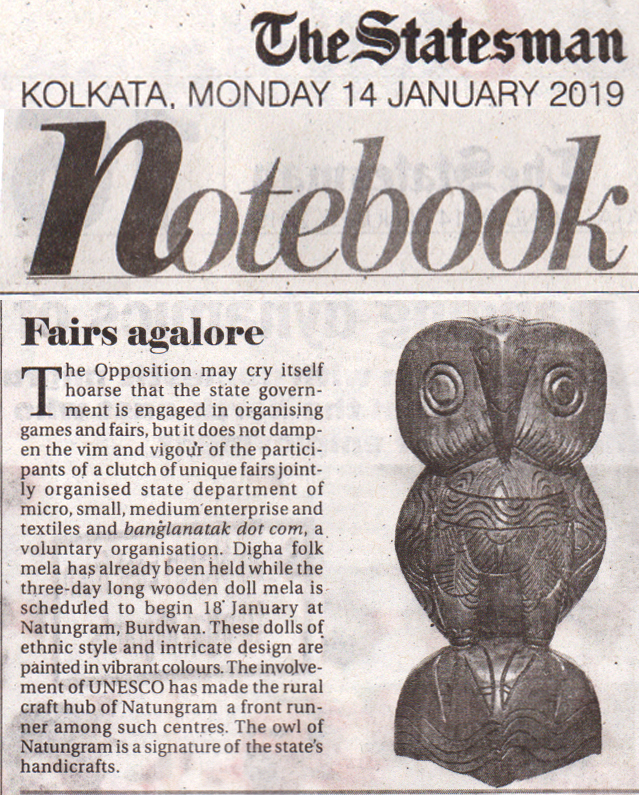 Terracotta horse symbolizes the artistic excellenc..
Clay Dolls of Nadia are famous for their realistic..
Colourful Wooden Doll represents Bengal's rich han..
Kantha is embroidered quilt known for its traditio.. 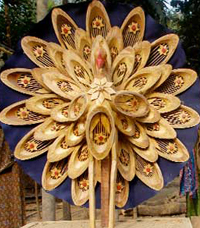 Wooden masks are worn during Mukha Dance. 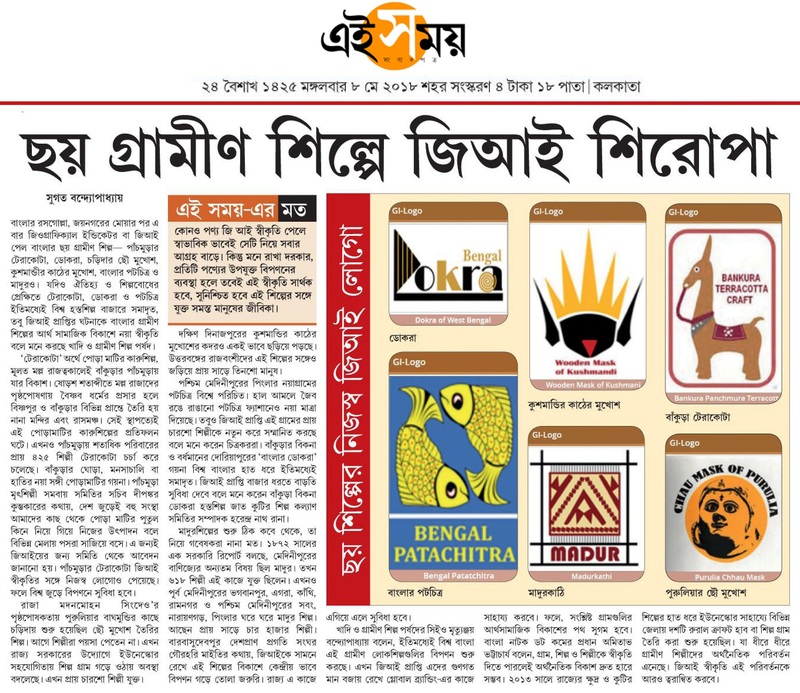 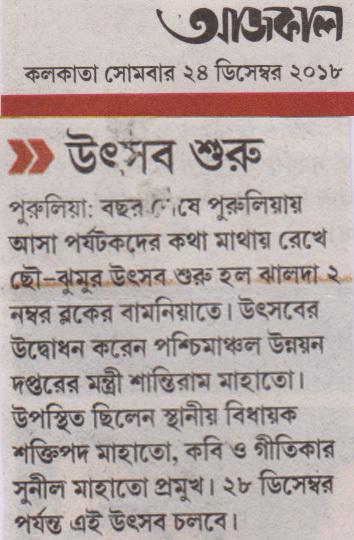 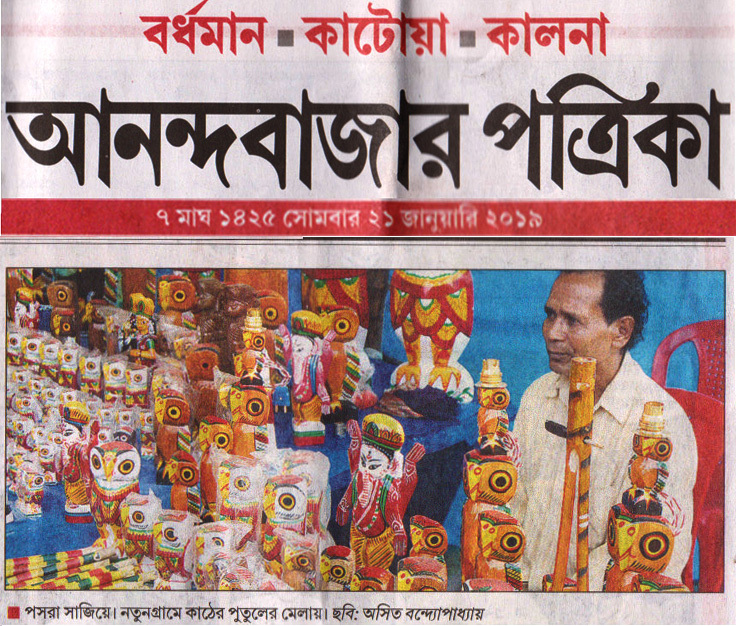 Sitalpati is integrally linked with Bengali lifest..
Dokra is age-old metal craft tradition of Bengal. 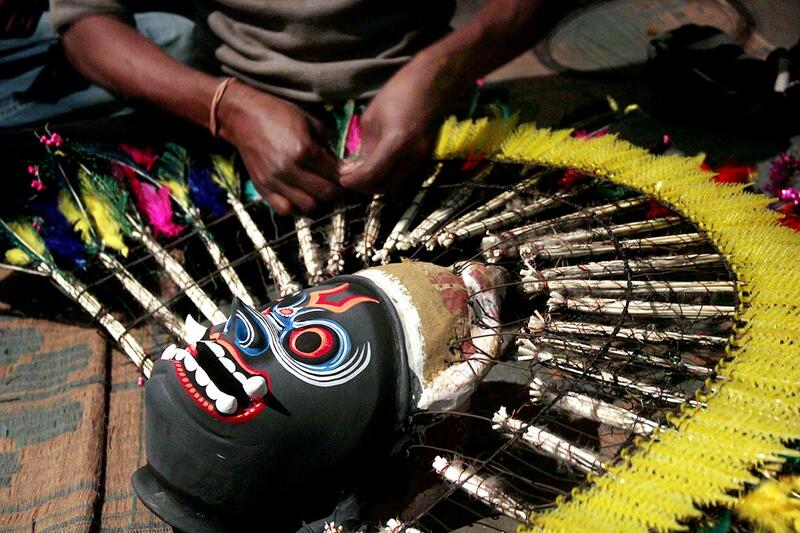 Artists wear Chau masks for performing Chau dance. 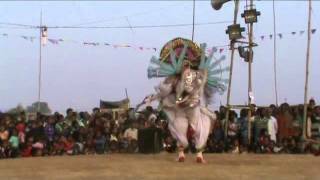 Jhumur is an age-old music genre of indigenous com..
Khon is a popular satirical folk drama of Uttar &..
Mukha Naach, locally known as Gomira dance or Pala..
Raibenshe is an acrobatic dance form. 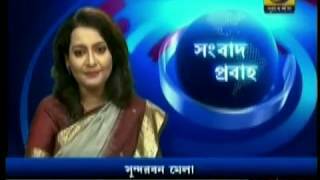 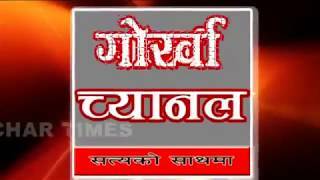 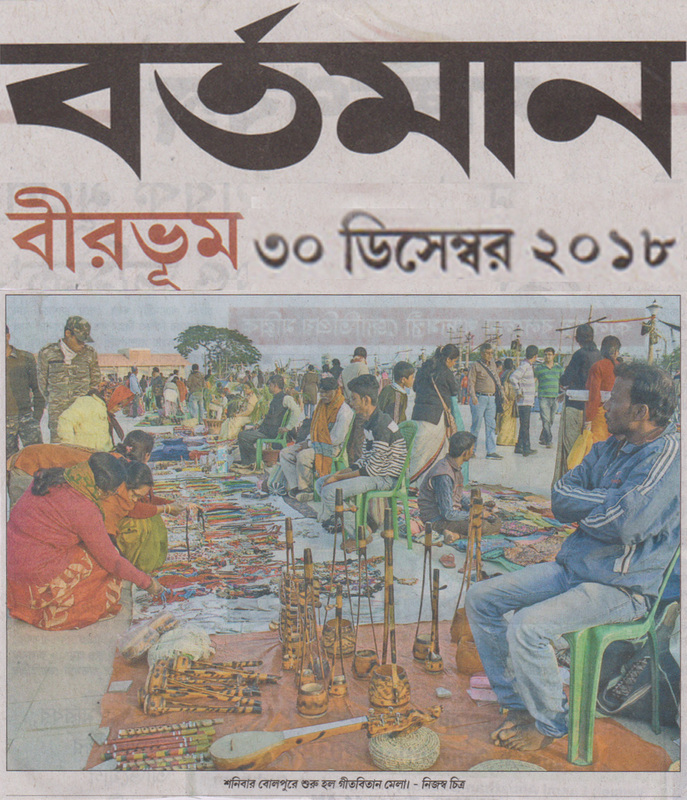 Baul and Fakiri music is a rich, vibrant and livin.. 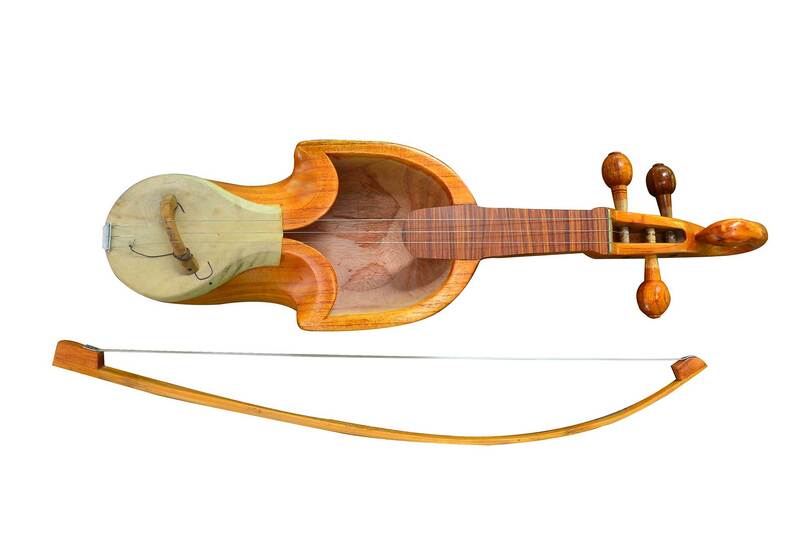 It is the boatman’s songs with long drawn notes. 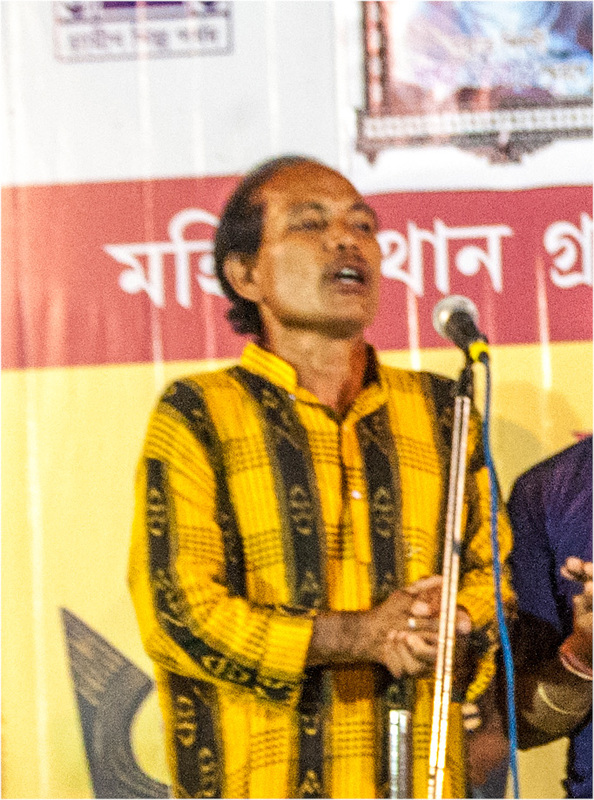 Bhawaiya is a genre of North Bengal folk songs. 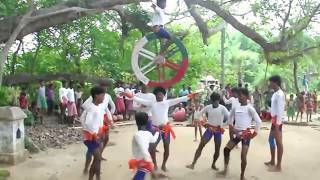 Bonbibir Pala is a mythology-based local folk dram..
Chau is a colourful, martial dance form of Purulia..
RCCH covers 16 indigenous hill communities. 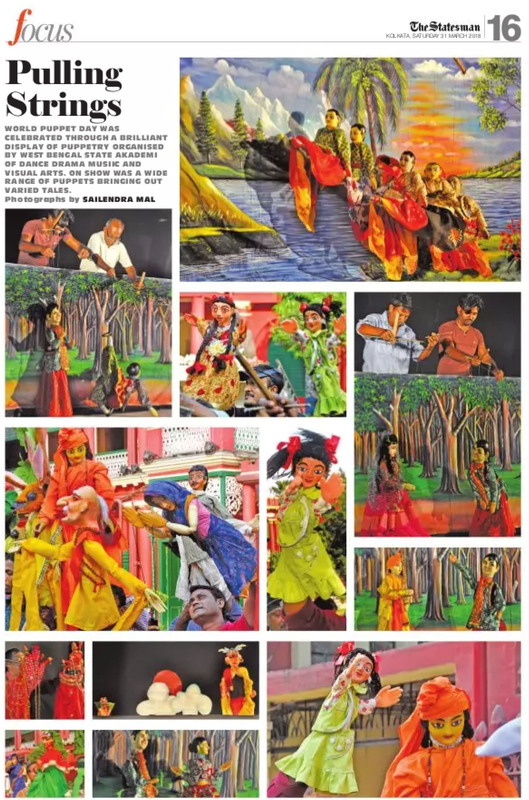 Domni is a satirical folk theatre of Malda. 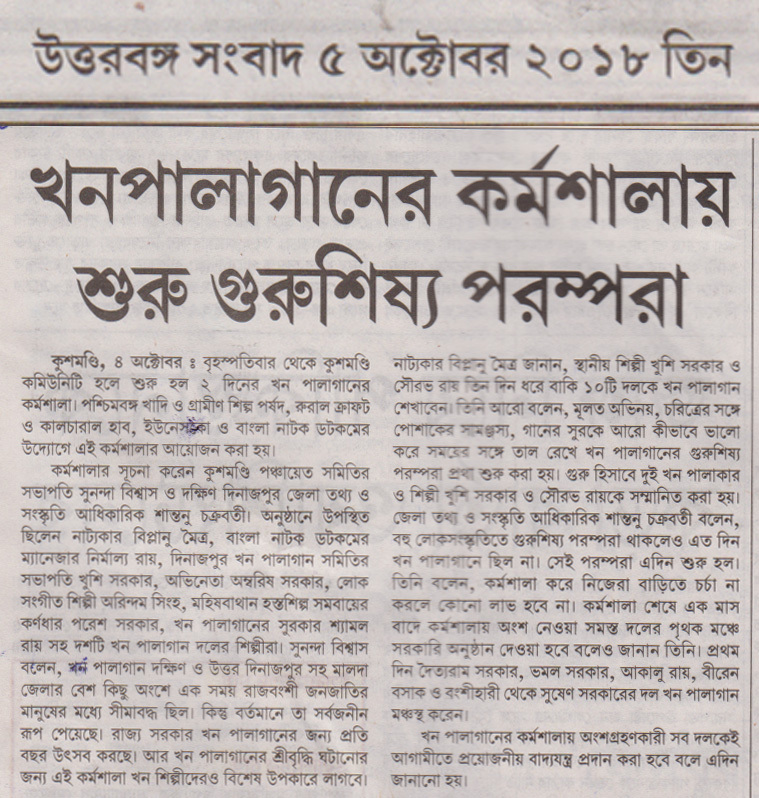 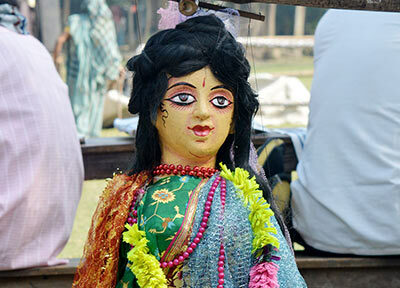 RCCH engages string puppeteers of Bengal. 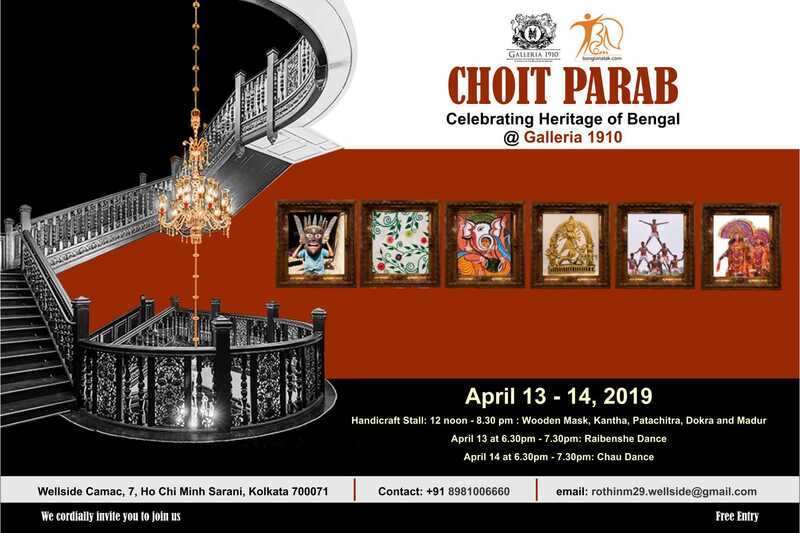 Choit Parab will be celebrated at the heritage building “Galleria 1910” located at 7, Ho Chi Minh Sarani, Kolkata-700029 from April 13 to 14. 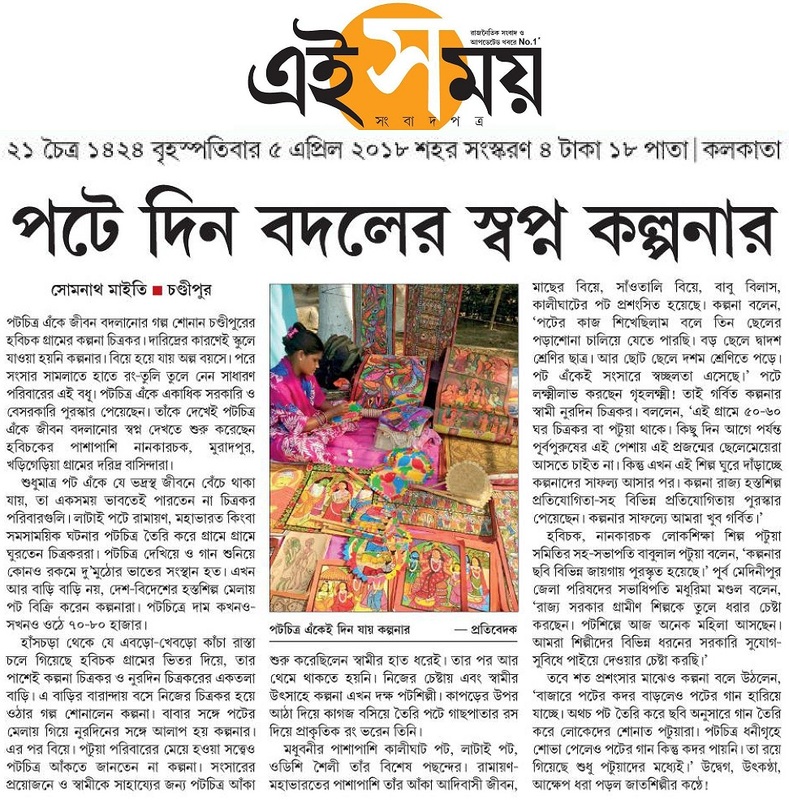 Rural Craft & Cultural Hubs in Bengal organize their own annual Melas between winter and spring. 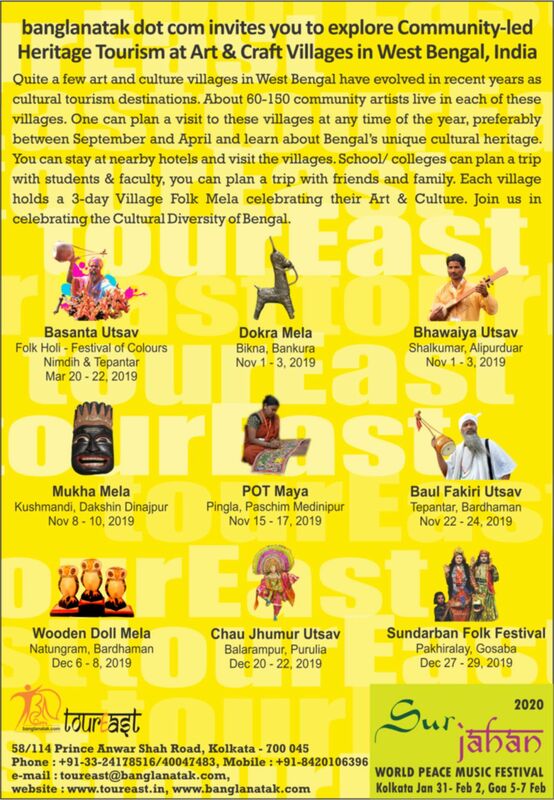 Check out their Village Festival Calendar for 2018-19. 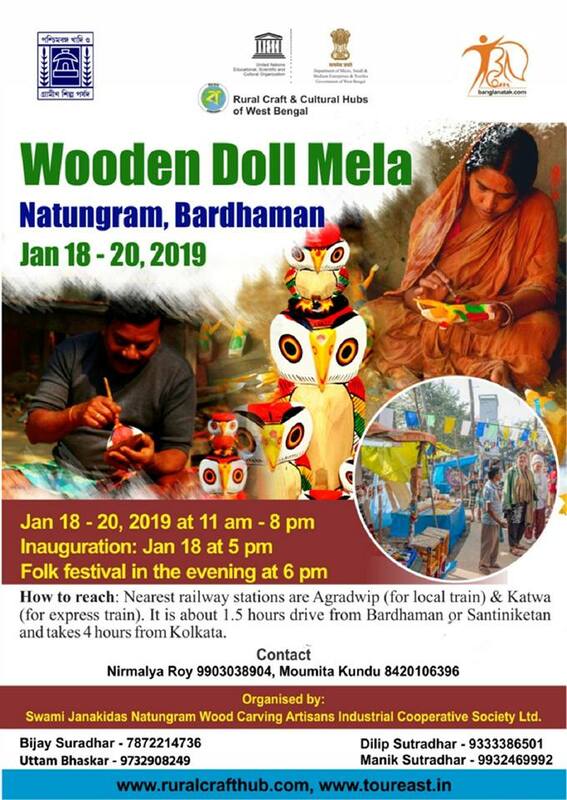 Explore the world of woodcraft at Wooden Doll Mela in Natungram from 18 to 20 January. 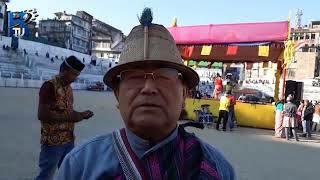 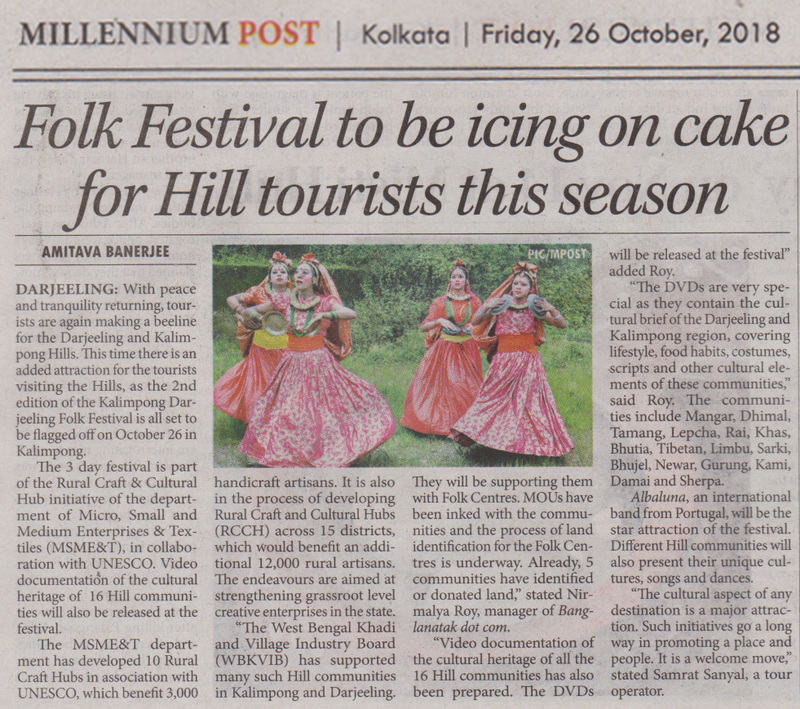 Welcome to Darjeeling Hills Folk Festival in Kolkata at Rabindratirtha in New Town. 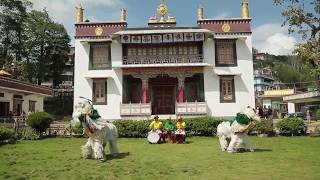 Experience the colourful songs and dances of Darjeeling at Rabindratirtha, New Town on December 15 - 16, 2018 at 6 pm to 7.30 pm. 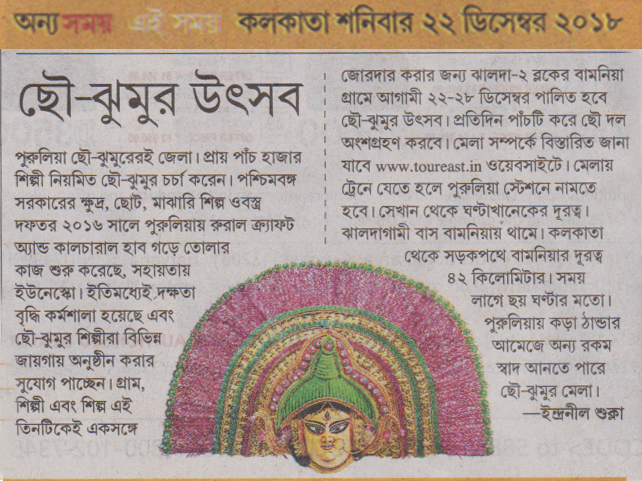 Celebrate the year-end with Sunderbans Utsav at Pakhiralaya, Gosaba. 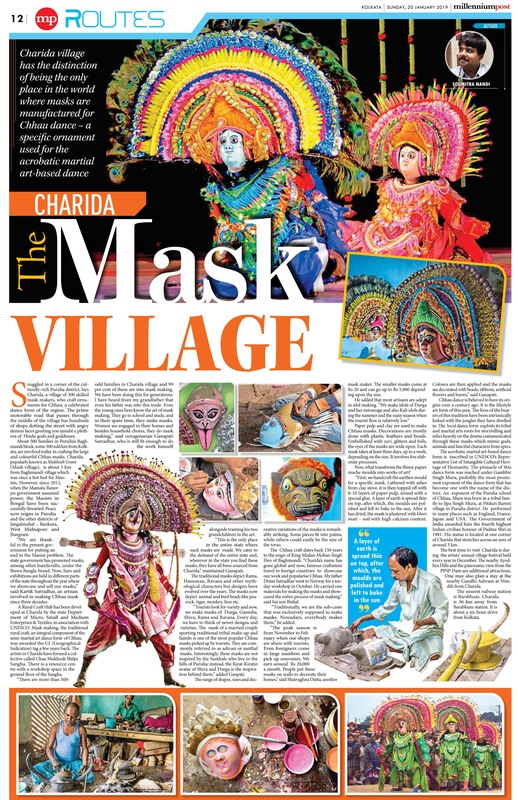 Three-day Chau Mask festival at Charida in Purulia from December 14 to December 16, 2018. 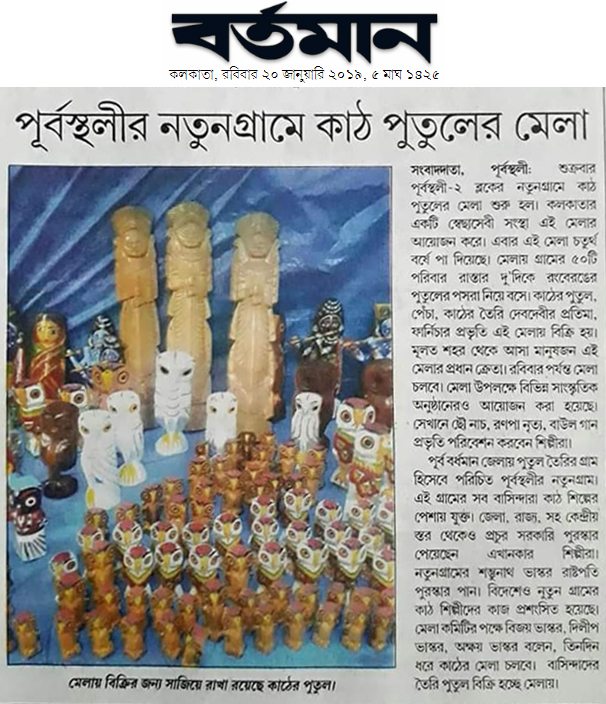 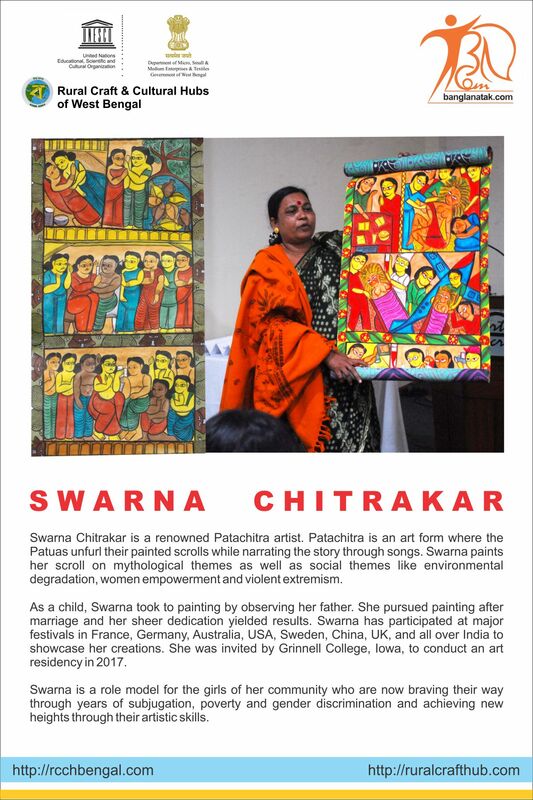 An exhibition of Kantha Embroidery, Wooden Dolls, Sabai and Basketry to promote Bengal’s folk arts and crafts among students at Sushila Birla Girls’ School, Kolkata, from 2 to 4 August. 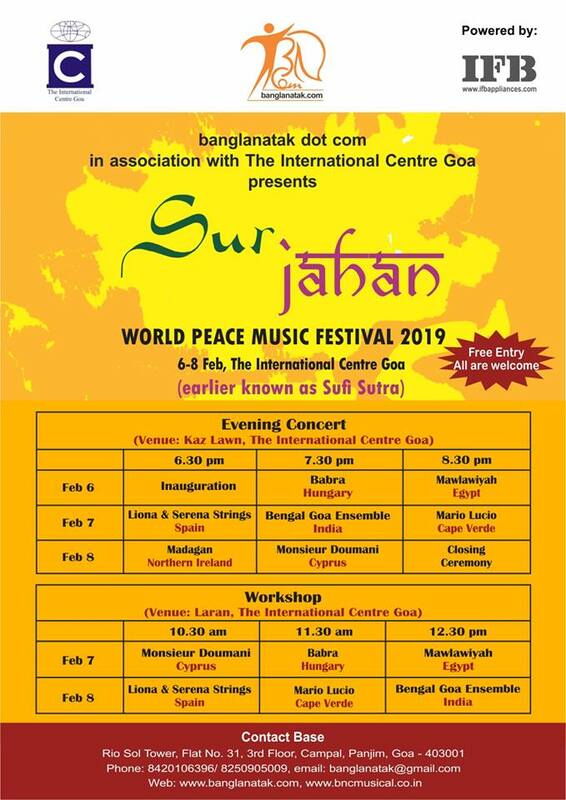 Time: 7:30 am to 2:45 pm. 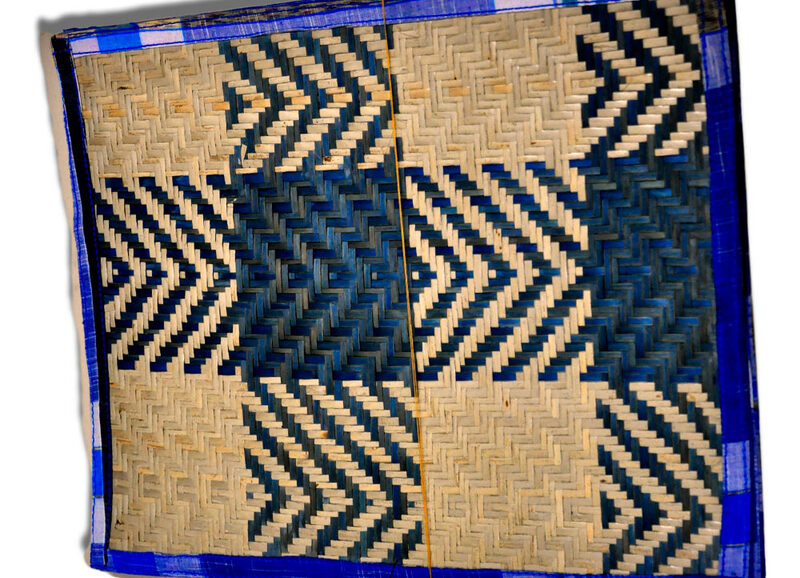 Entry restricted. 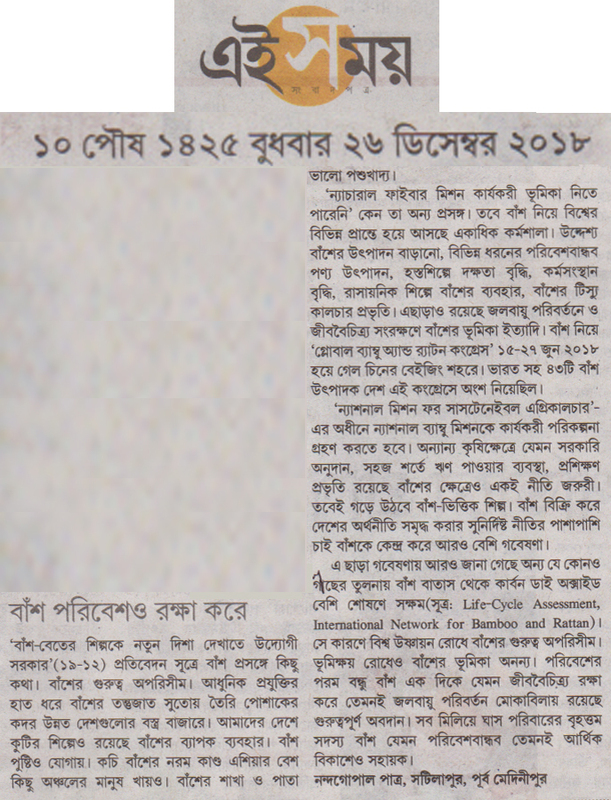 Contact school authorities to visit. 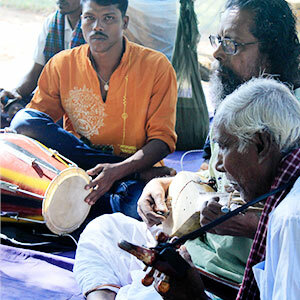 Tarak Das baul aka Tarak Khyapa is one of the leading Baul who recently passed away. 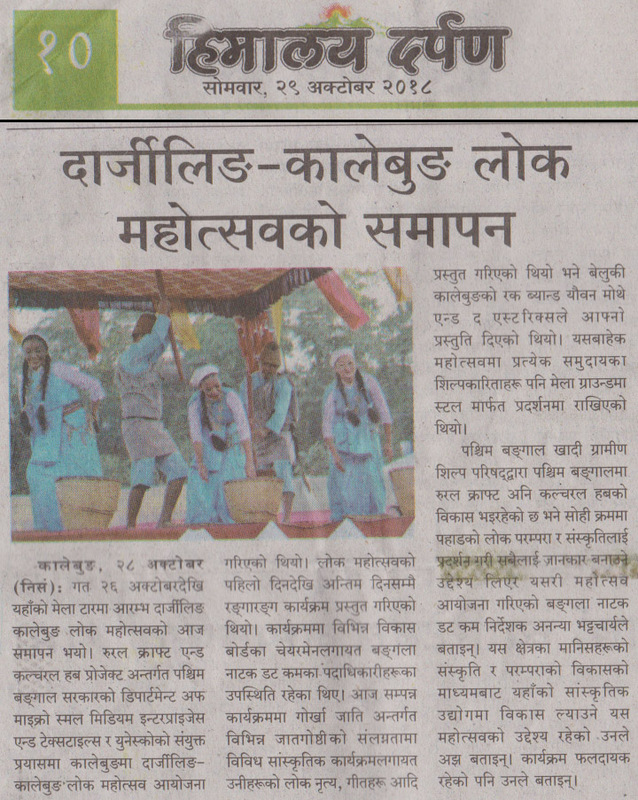 He was widely appreciated for his performing skills by audience in India and abroad. 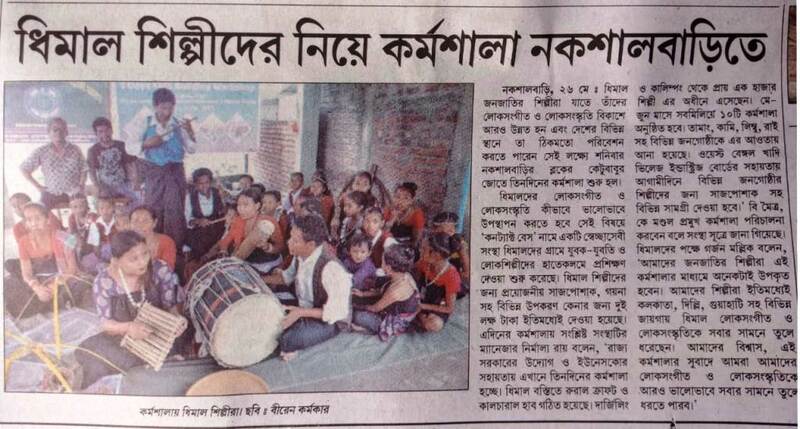 He set up his own Ashrama which is a platform for spreading Baul music and Philosophy. 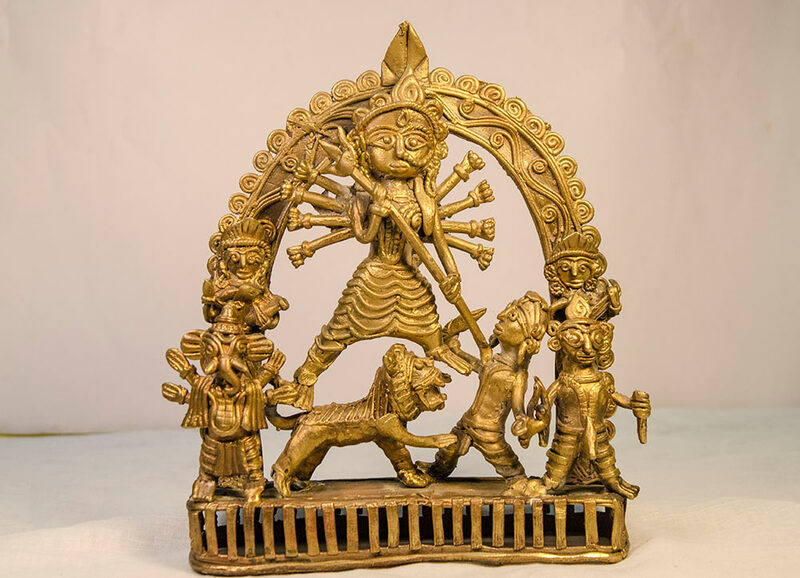 This album includes 10 songs sung by Tarak Khyapa and his sons Sadhu and Kangal. 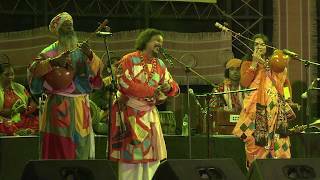 This volume of 36 Baul songs presented by 8 traditional Baul artists. 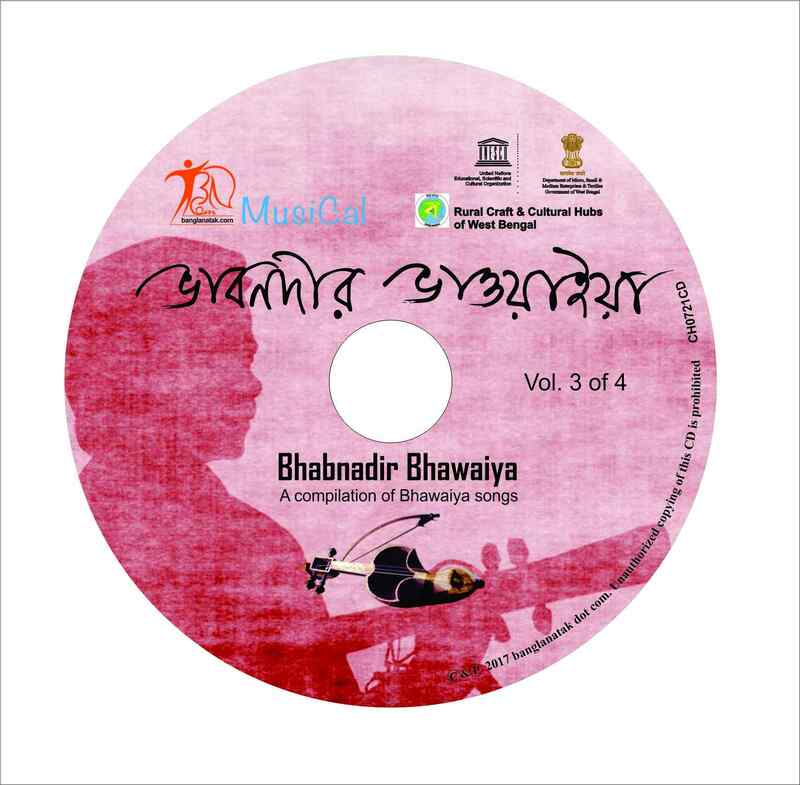 This volume of 33 Baul songs presented by 17 traditional Baul artists. 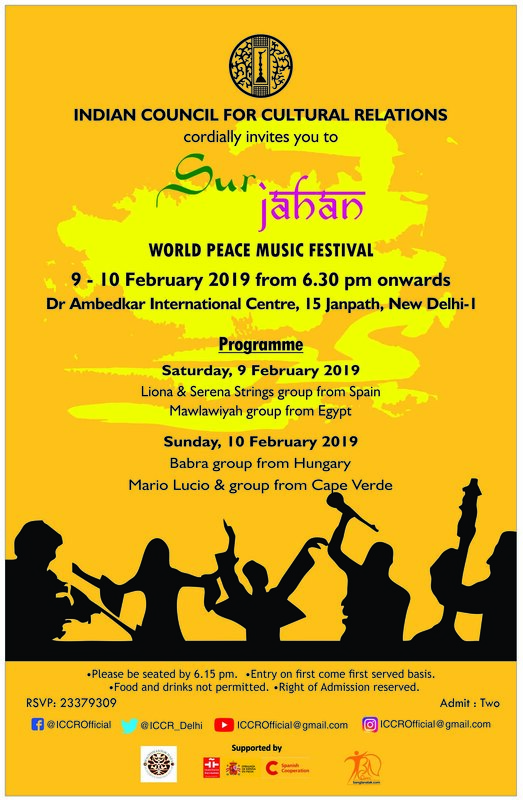 This volume of 30 Baul songs are presented by 17 traditional Baul artists. 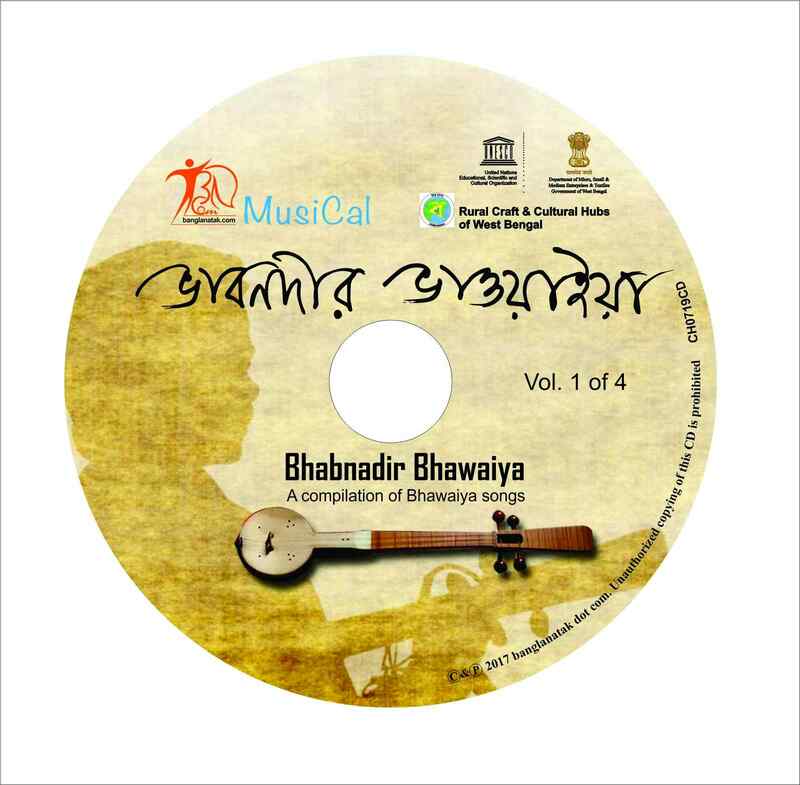 This volume of 32 Baul songs are presented by 17 traditional Baul artists. 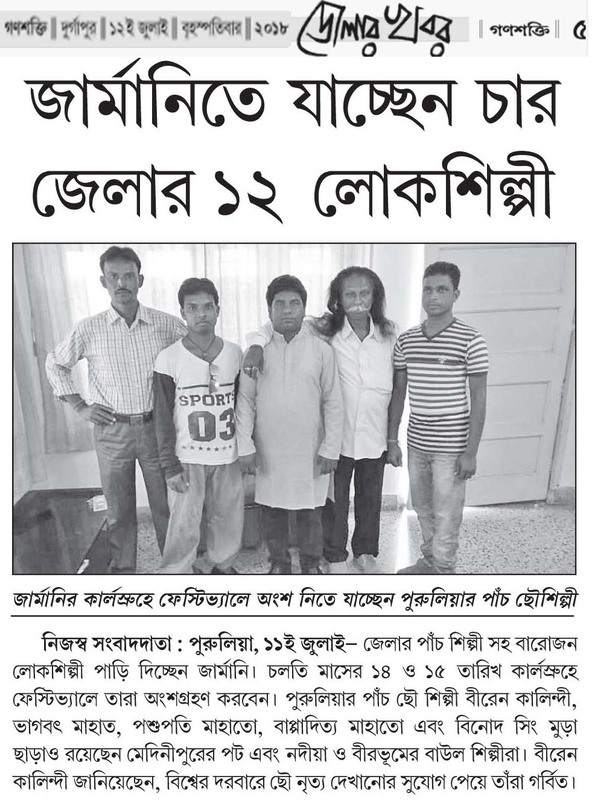 As part of the RCCH project, 248 Baul-Fakiri songs were field recorded, of which 193 songs rendered by 99 artists of Birbhum, Bardhaman, Bankura, Nadia and Murshidabad are being released by MusiCal in 6 volumes. 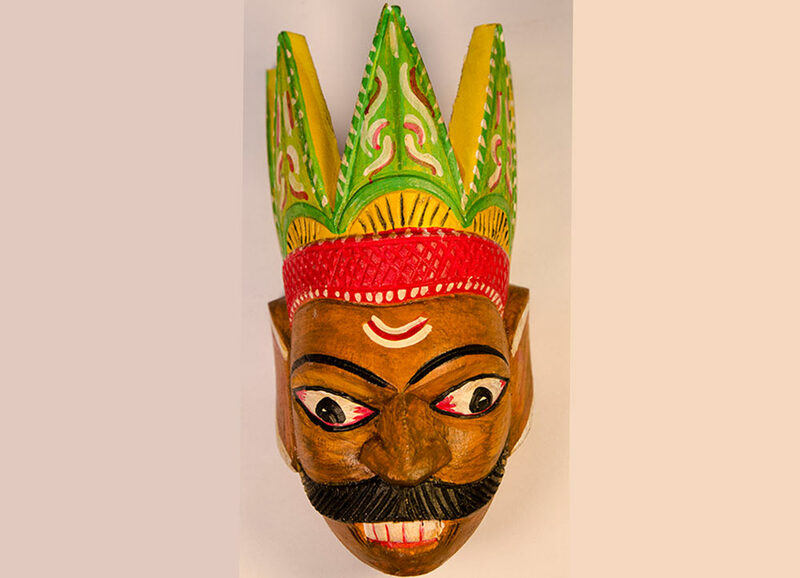 This volume of 31 songs presented by 15 traditional artists is part of that compilation. 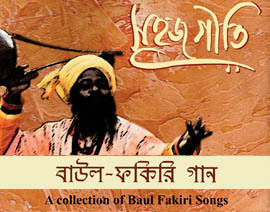 This album presents the music of Baul & Fakirs - the Mystic Minstrels of Bengal. 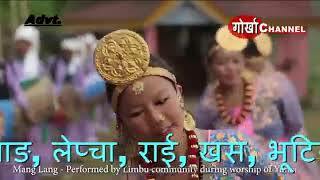 Their songs and dance reflect the joy, love and longing for a spritual union with the Divine. 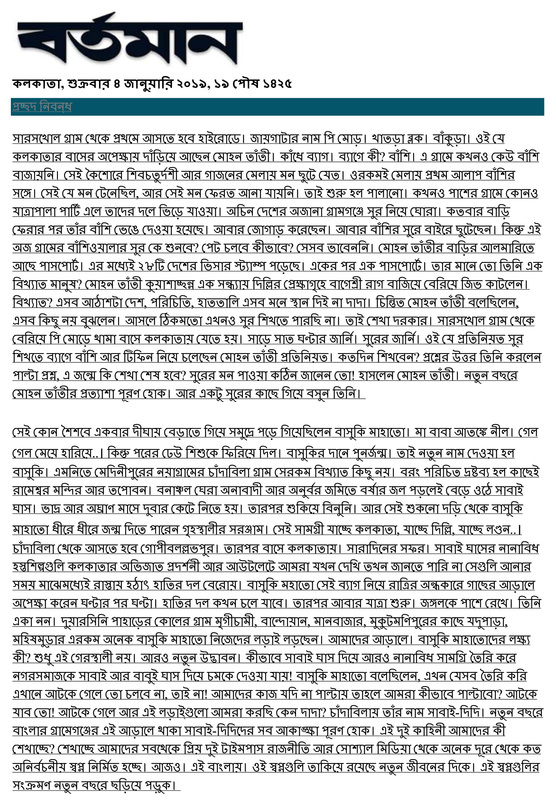 They propound renouncing all earthly attachments and the barriers of caste, creed and religion to achieve this.. 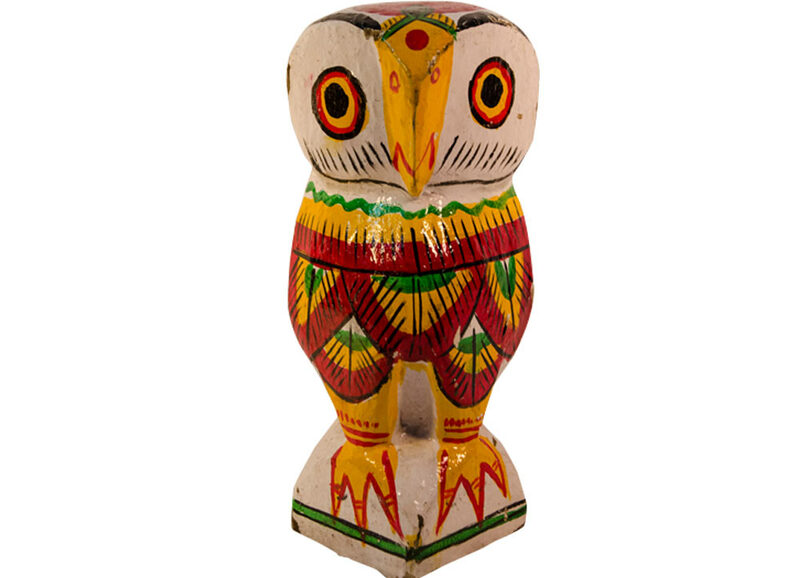 This volume of 31 songs presented by 15 traditional artists is part of that compilation. 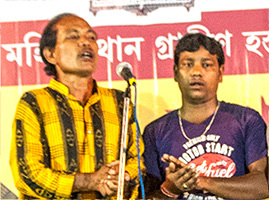 Bhawaiya, a folk music of North Bengal, is performed primarily in the Rajbangshi dialect of Bengali, and reflects the experience and emotions of rural people - occupations, joy, sorrow and harmony with nature. 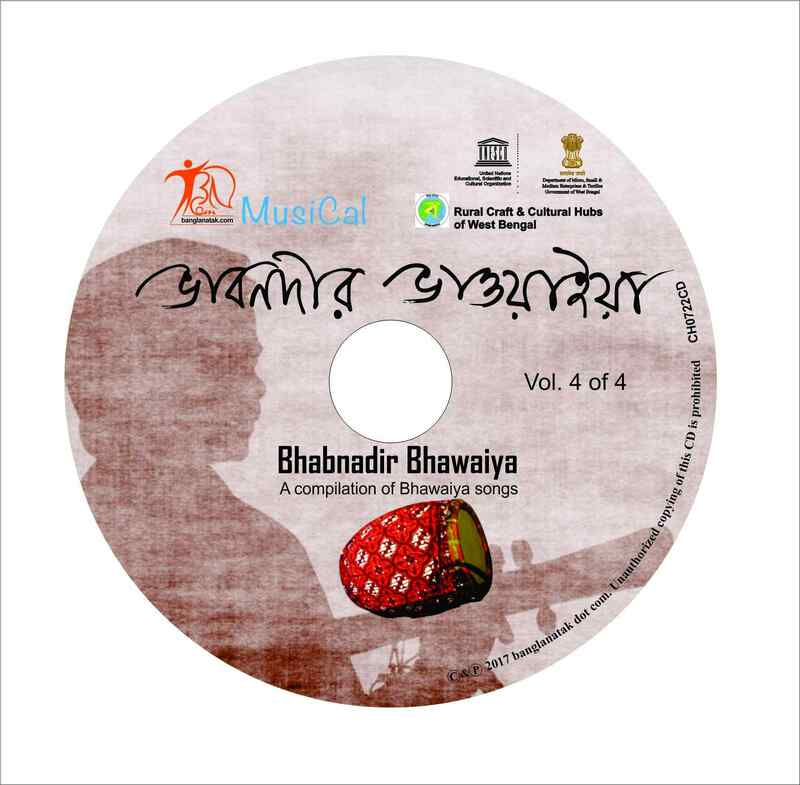 This album presents 10 Bhawiya songs presented by three prominent artists of recent times namely Nazrul Islam, Himadri Dewri and Prodyut Roy. 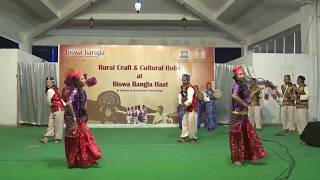 Bhawaiya, a genre of North Bengal folk music, is performed primarily in the Rajbangshi dialect of Bengali and reflects the experiences of rural life - occupations, joys, sorrows and harmony with nature. 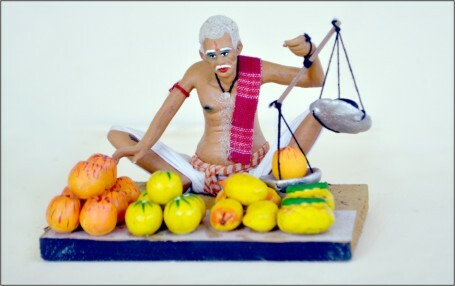 Common professions depicted in Bhawaiya are the mahout (Elephant handler), mohishal ( buffalo handler), rakhal (cowherd), boidal (bull cart driver), garial (Cow cart driver), hallooa (cultivator) and Vuinira (weed cleaner of the crop fields). 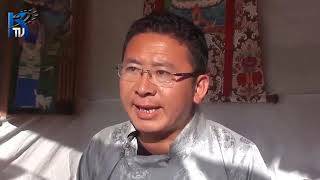 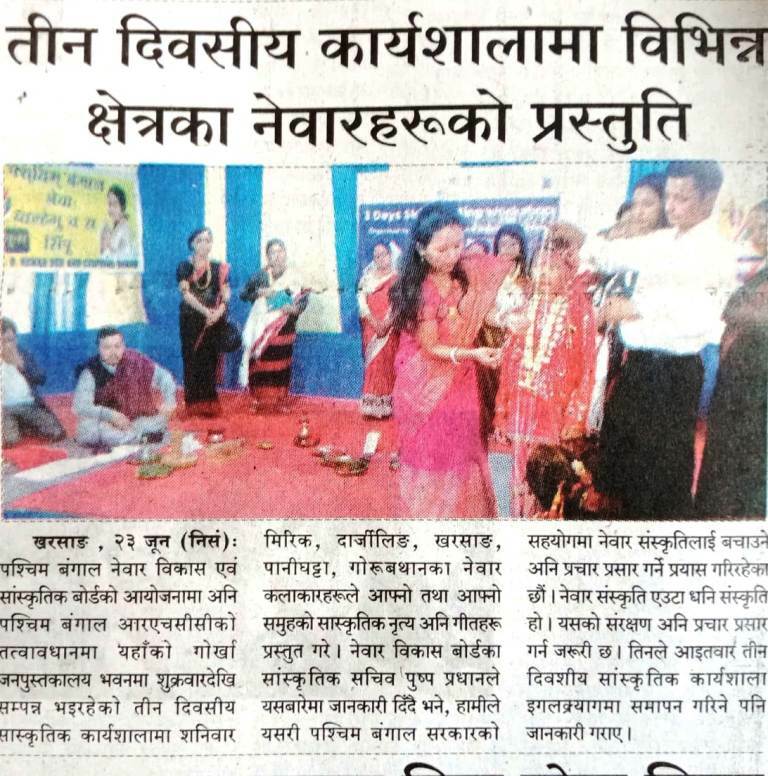 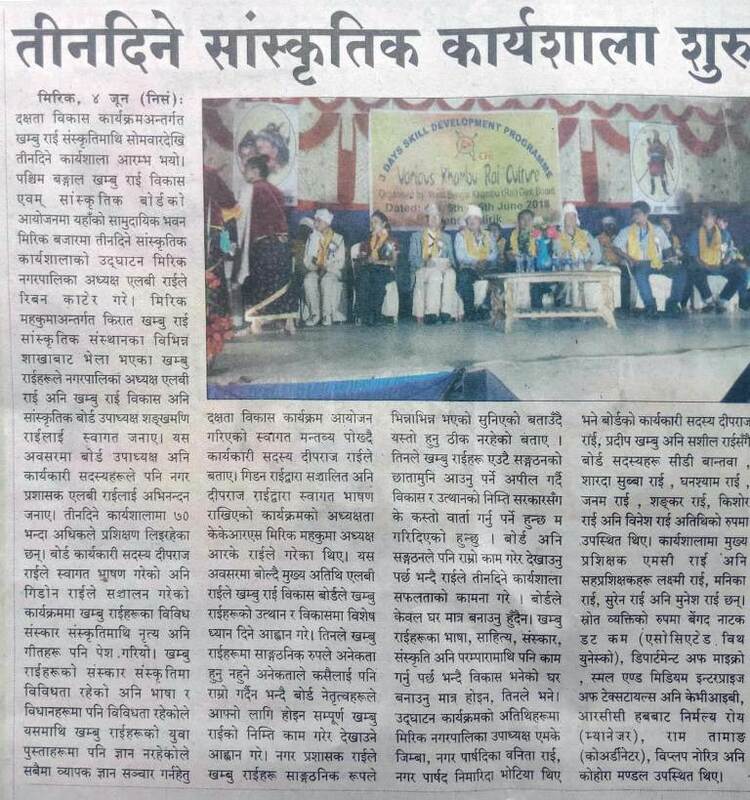 Common life issues like relations between men and women, spIrituality, desire for affection, pain of love et al, nature, especially birds and rivers, are part & parcel of Bhawaiya folk music. 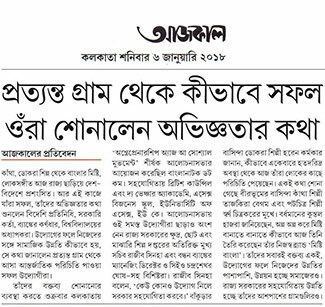 As a part of RCCH Project where 198 songs were field recorded of which music CDs of 130 songs rendered by 78 artists of Alipurduar and Cooch Behar were released in 4 volumes. This volume of 32 songs is a part of this compilation. 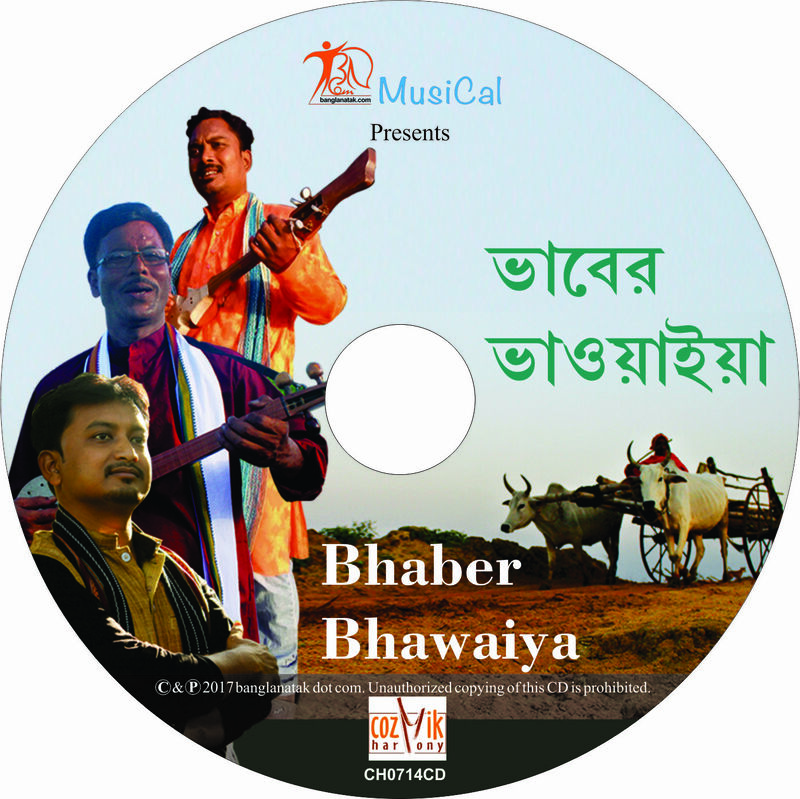 This album presents Bhawaiya, a folk music of North Bengal. 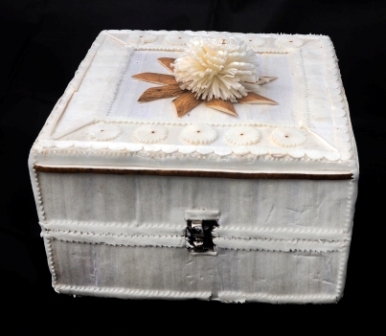 This volume is a compilation of 33 songs sung by 29 artists. 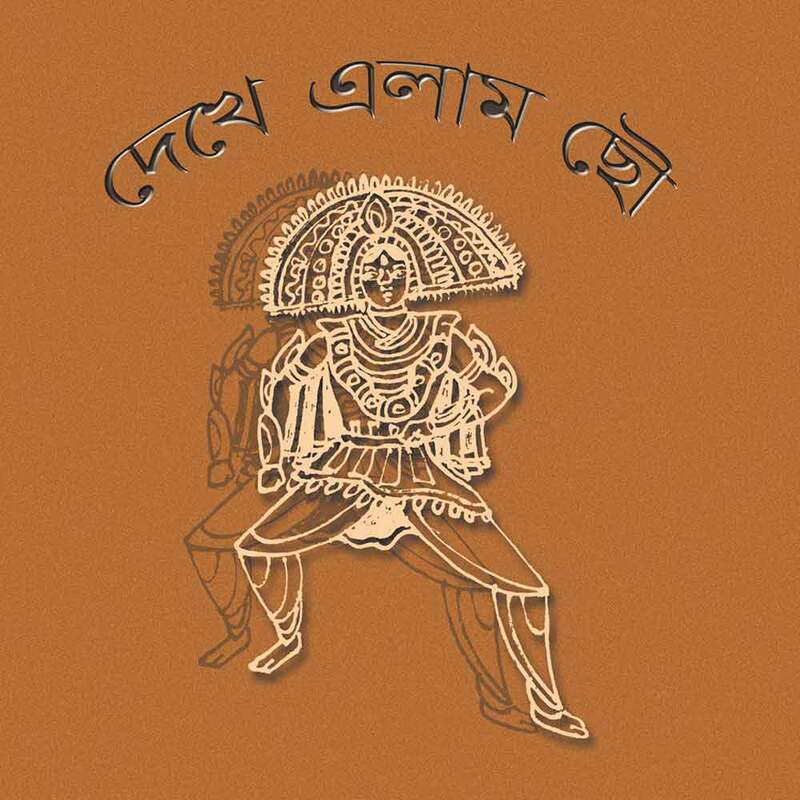 This book is a brief history of Jhumur songs in Bengal, and it also contains a large collection of Jhumur songs. 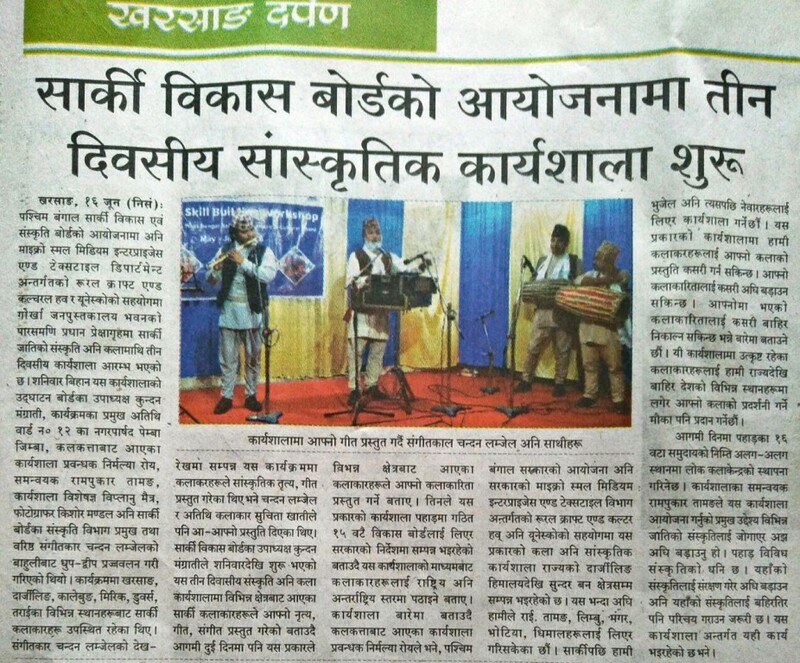 Notation of some popular Jhumur songs are also given in this book. 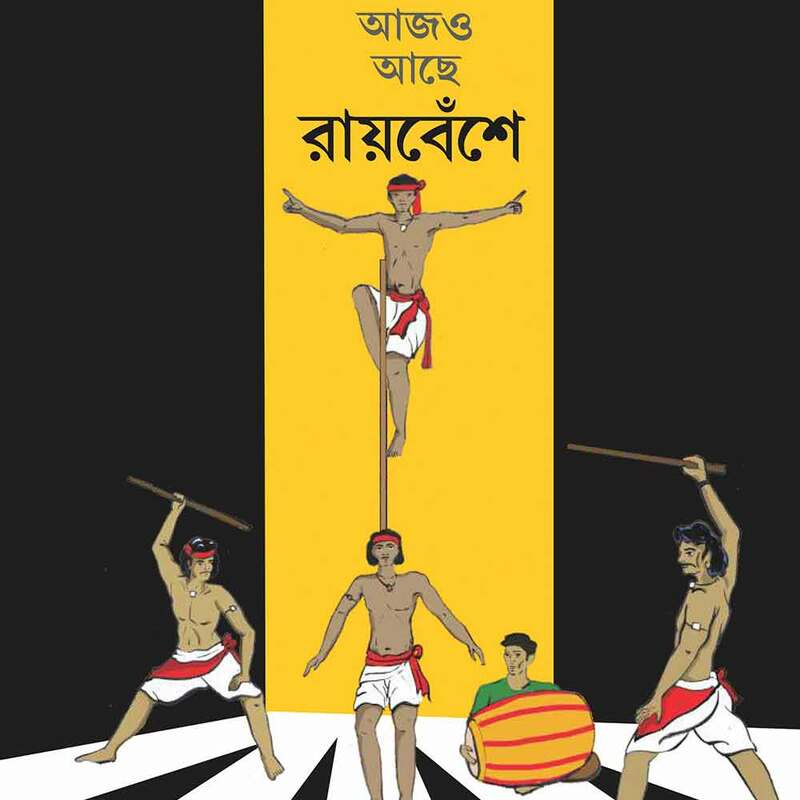 This is another one of our graphic story books and it is about Chau, an acrobatic and martial performing art practiced in West Bengal, Odisha and Jharkhand. 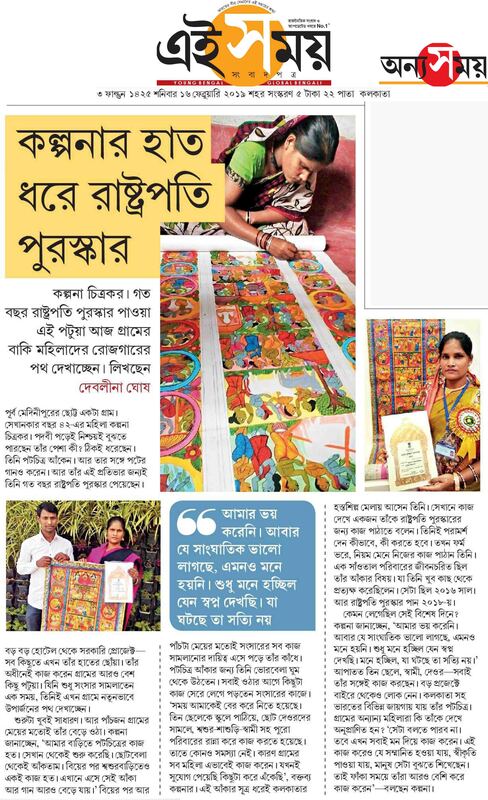 This is a first-of-its-kind graphic book, to popularize Bengal's performing folk traditions among children and youngsters. 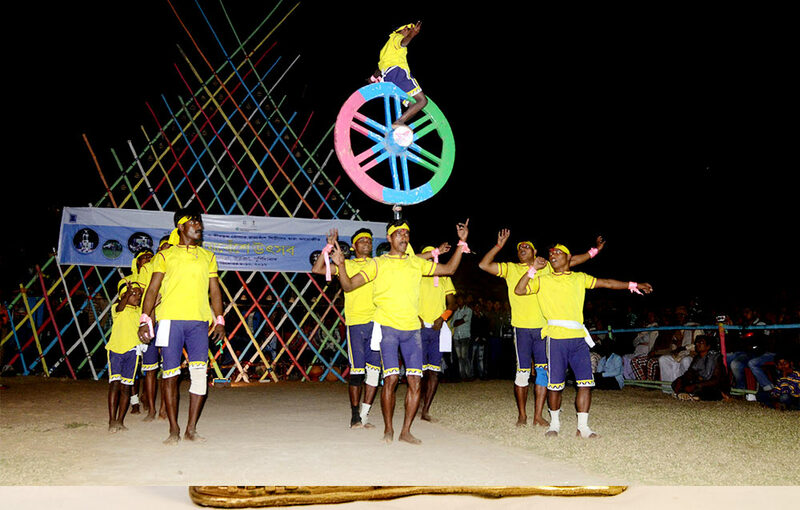 Raibenshe is an acrobatic and martial performance that is being revived. 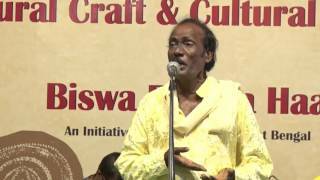 Banglay Qawwali - A brief history of Bengali Qawwali. 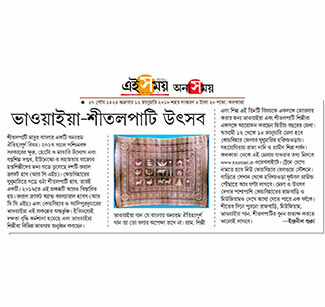 The tradition of Qawwali songs in Bengal is lesser known but rich. 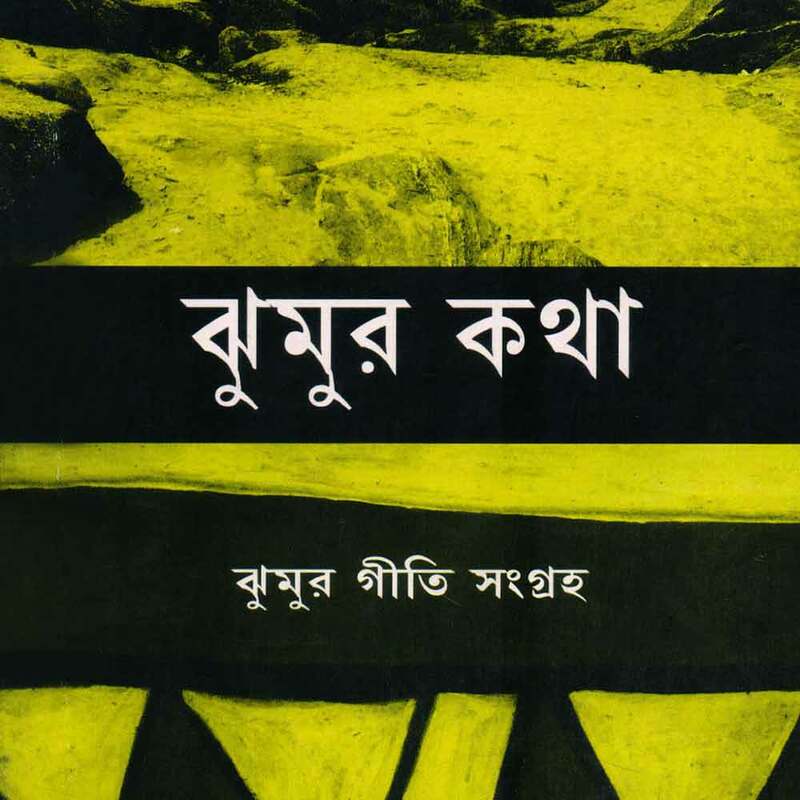 This book puts light on the advent of Qawwalli songs in Bengal and its development. 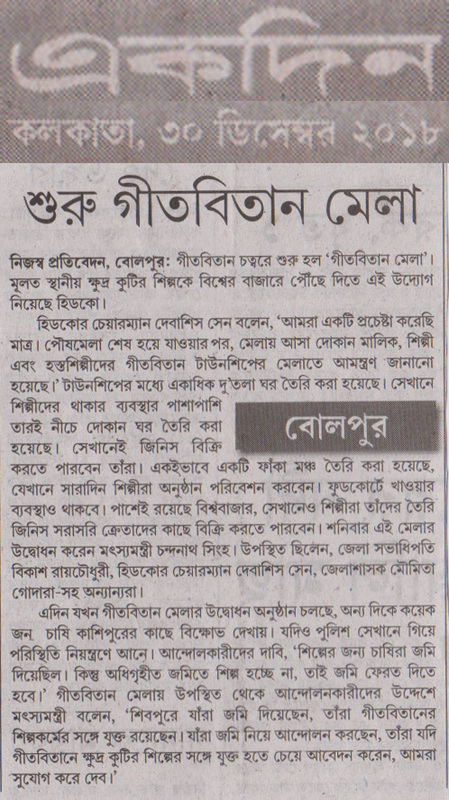 Sahaj Geeti is a pioneering effort to compile popular as well as lesser known Baul and Fakiri songs of Bengal. 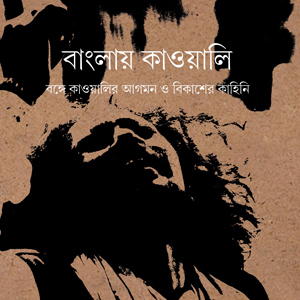 Over 1000 Baul and Fakiri songs have been compiled in this book. 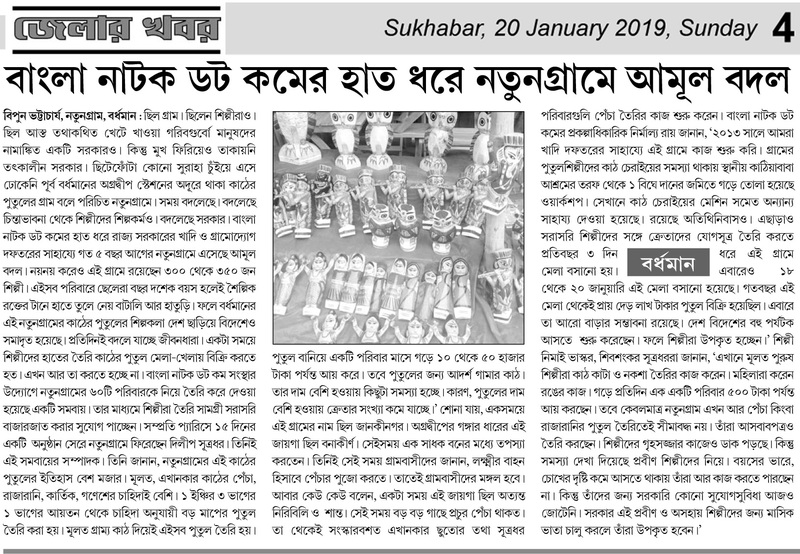 Sitalpati Folk Art Centre at Ghughumari in Cooch Behar. 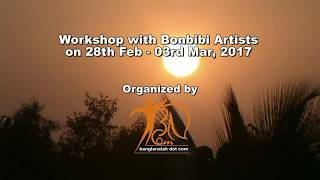 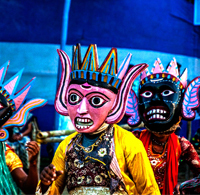 Folk Art Centre at Kushmandi in Dakshin Dinajpur – Wooden Mask & Mukha dance hub. 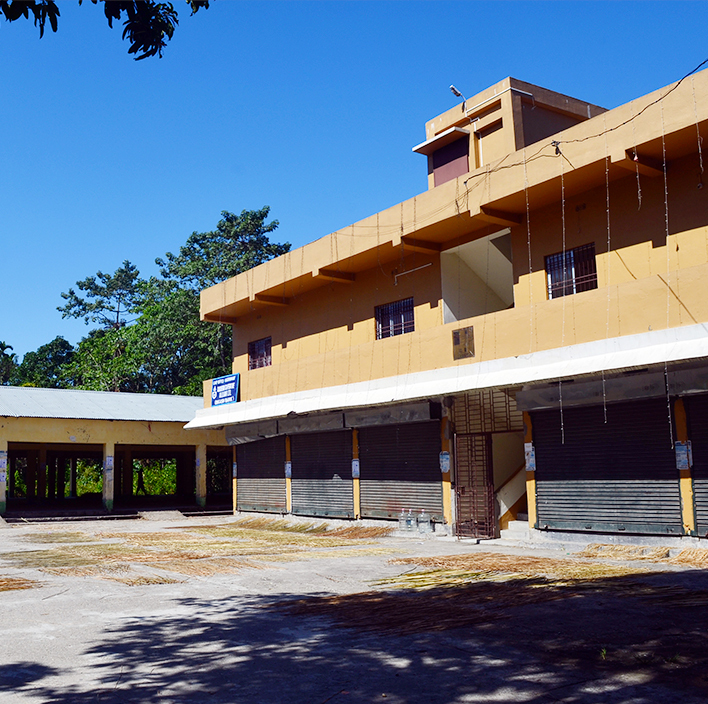 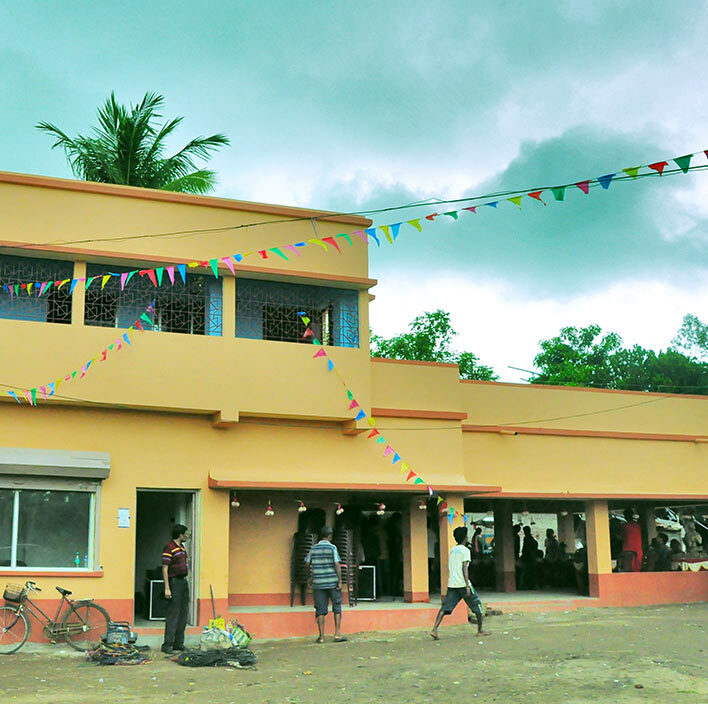 Folk Art Centre at Pingla in Paschim Medinipur – a Medinipur Patachitra hub. 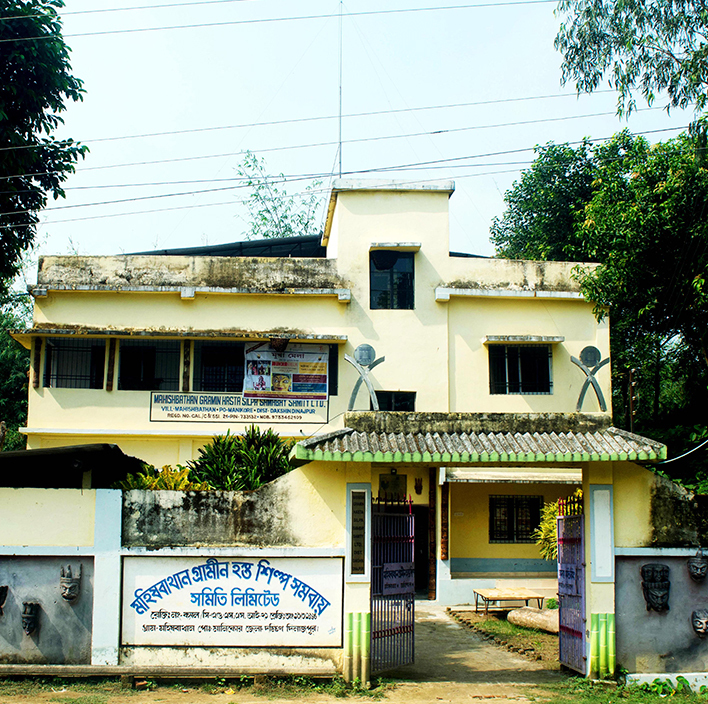 Dokra Folk Art Centre at Bikna, Bankura. 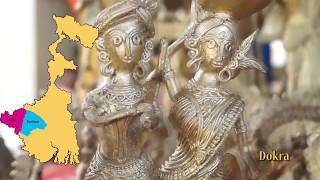 Chau mask Folk Art Centre at Charida, Purulia. 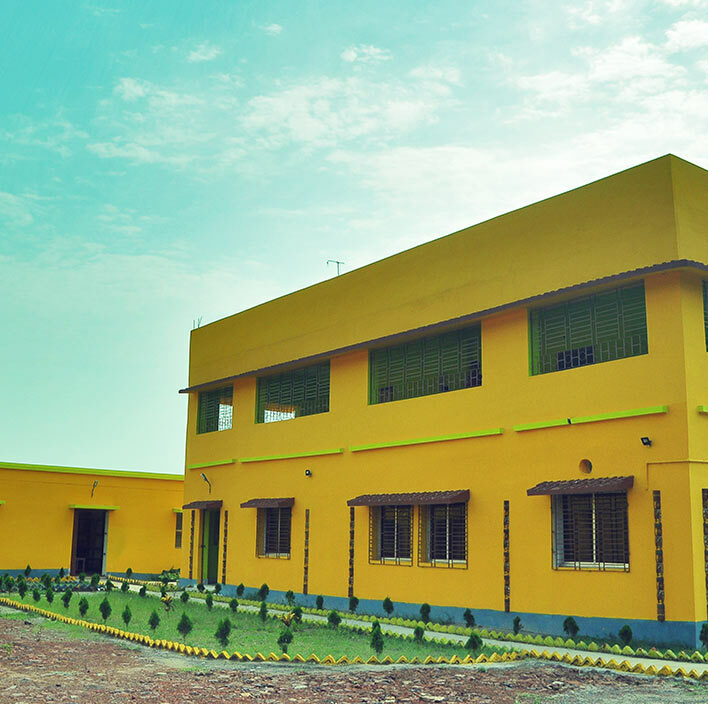 Dokra Folk Art Centre at Dariyapur, Bardhaman. 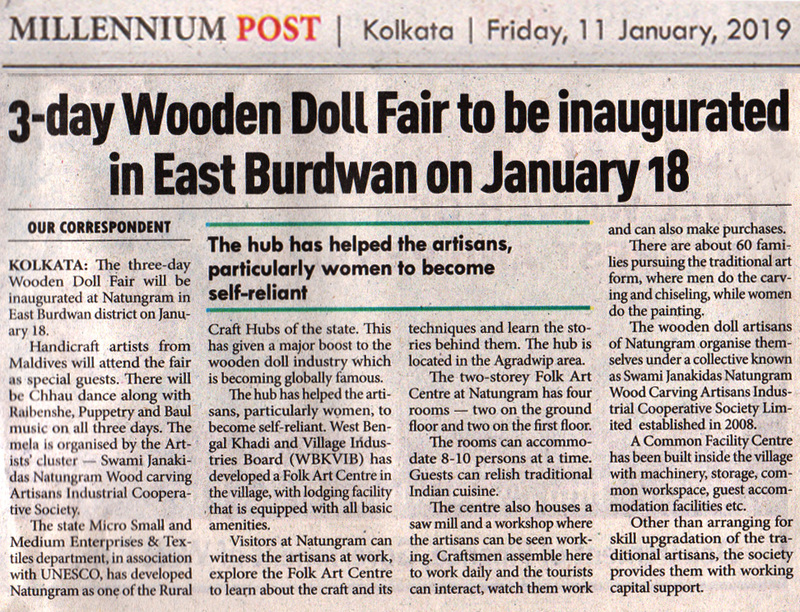 Wooden Doll Folk Art Centre in Natungram, Bardhaman. 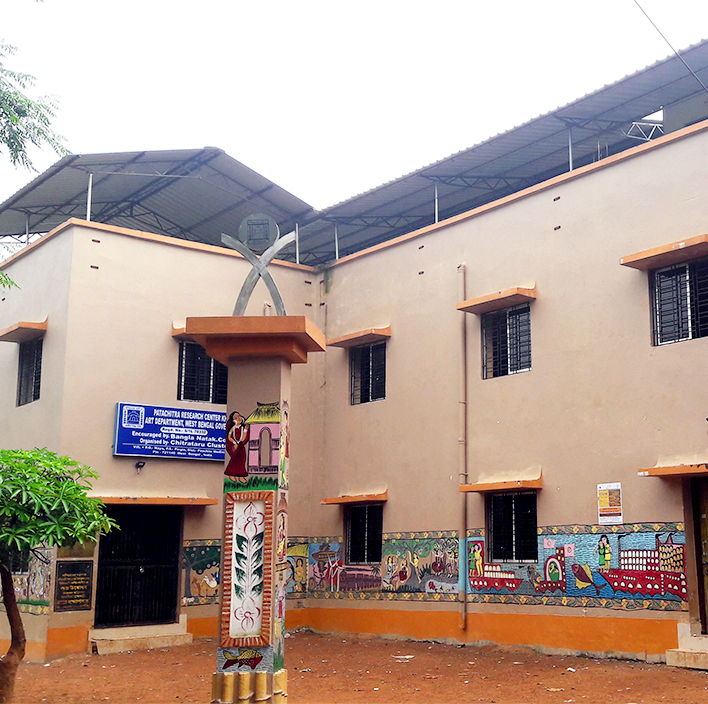 Folk Art Centres at the hubs serve as community centres for practising the art and promoting cultural tourism, including heritage tourism. 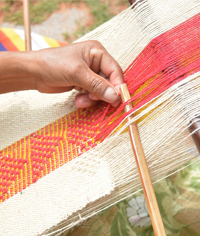 These centres have permanent exhibitions of the local art and craft genres. 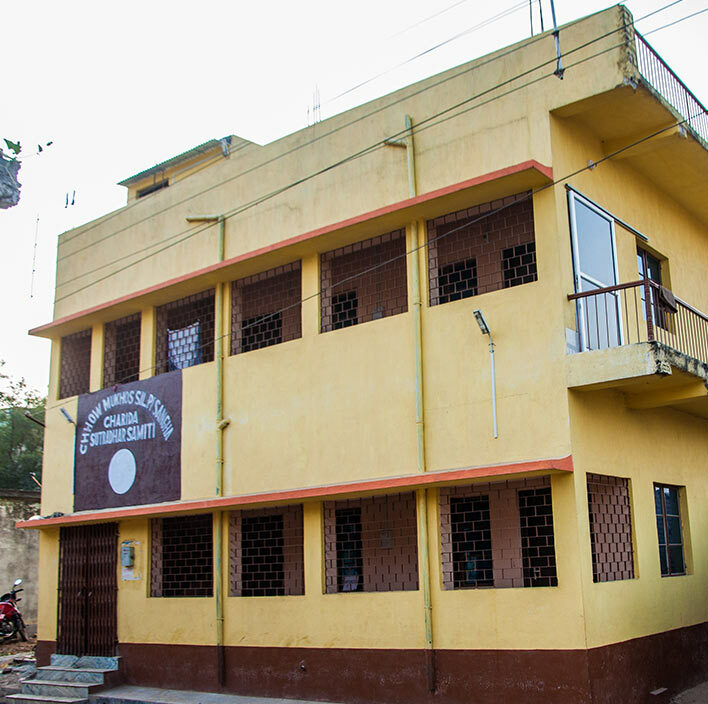 They also offer accommodation and local cuisine, on request, for visitors.